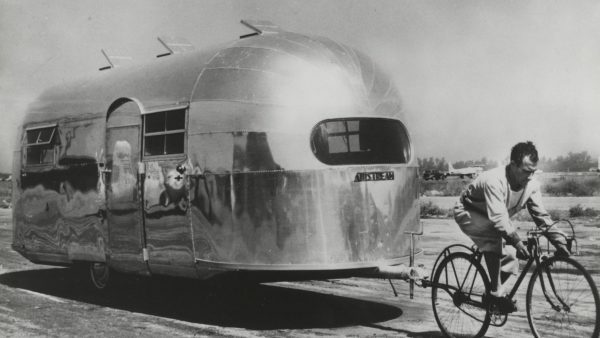 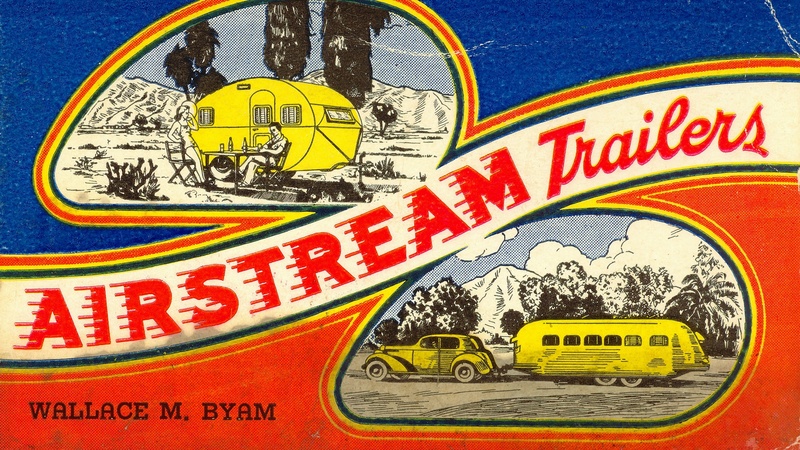 Airstream founder Wally Byam was born on the Fourth of July, 1896, in Baker City – a boom town along the Oregon Trail, which his grandparents had traveled in a mule-drawn wagon on their journey out west. He grew up working hard with his uncle on a sheep farm, where he lived in a wooden wagon, towed by a donkey – much like his grandparents had. 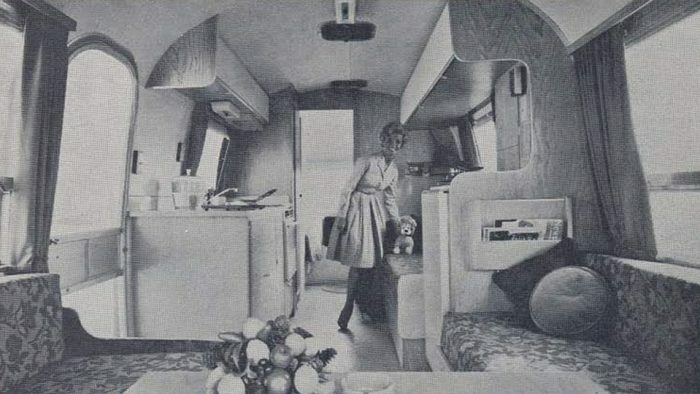 Inside the wagon he had a stove, food, water, and everything he needed, which would later inspire his first travel trailer. 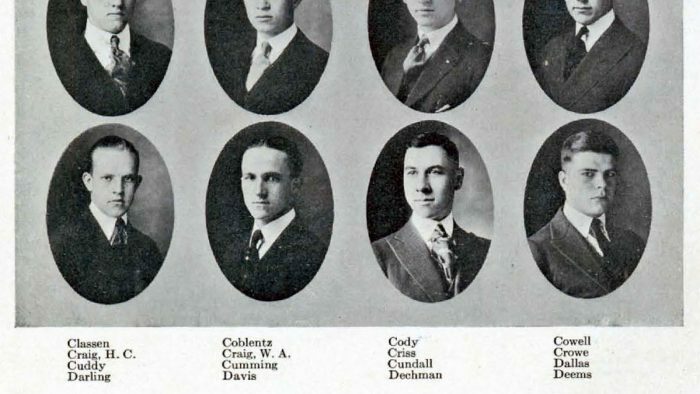 After working to support himself through college and graduating from Stanford in 1921, Wally worked in journalism, advertising, and publishing. 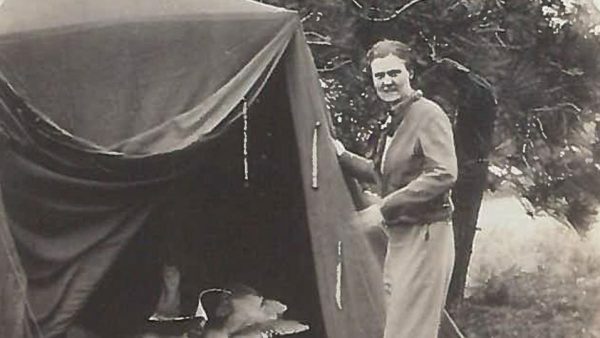 He and his first wife Marion went camping regularly, but she never enjoyed sleeping on the ground in a tent. 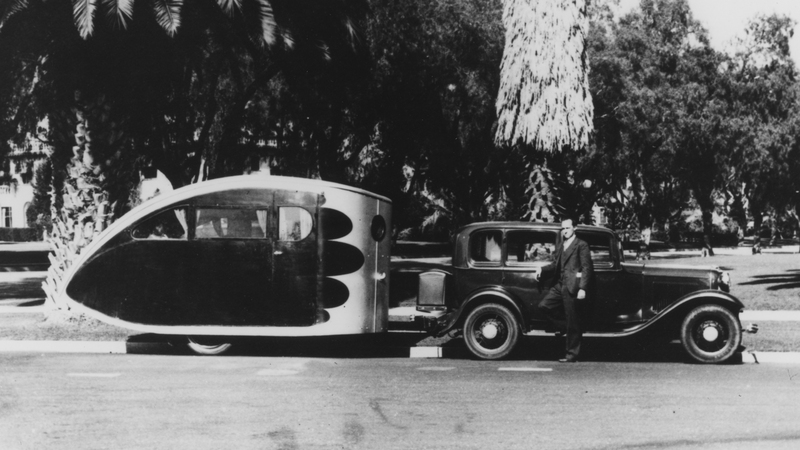 So in 1929, Wally put together a tent contraption on top of a Model T chassis. 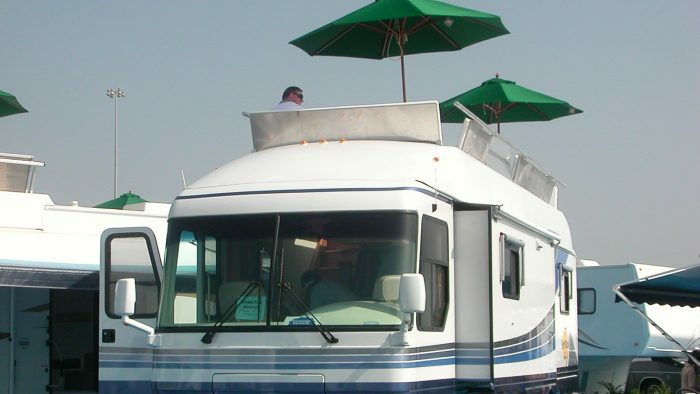 It was mobile, but it wasn’t a lot of fun in the rain, and it was a chore to put together. 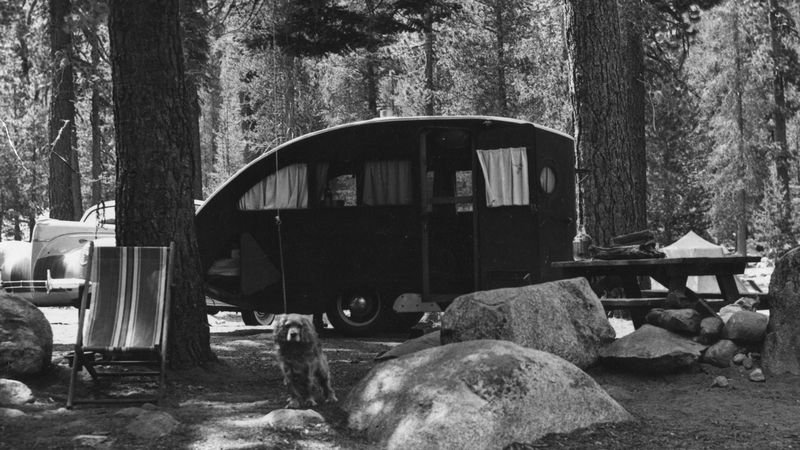 He went back to the drawing board and replaced the tent with a teardrop-shaped permanent shelter – and added a stove and ice chest, too. 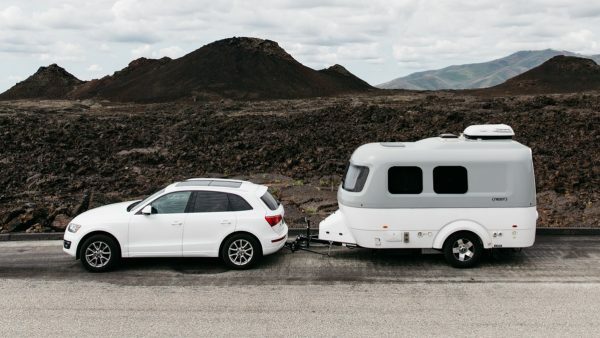 It was a proper trailer and it caught the eye of so many other travelers that Wally decided it might be “a pretty good business to get into.” Good thing he did. 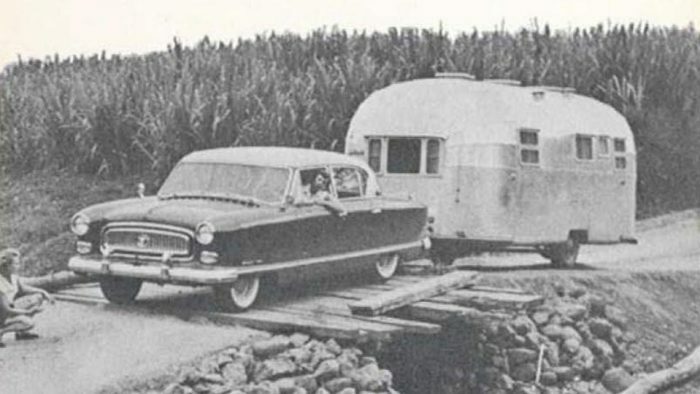 After building his own travel trailer, Wally published a DIY guide in Popular Mechanics for others to do the same. 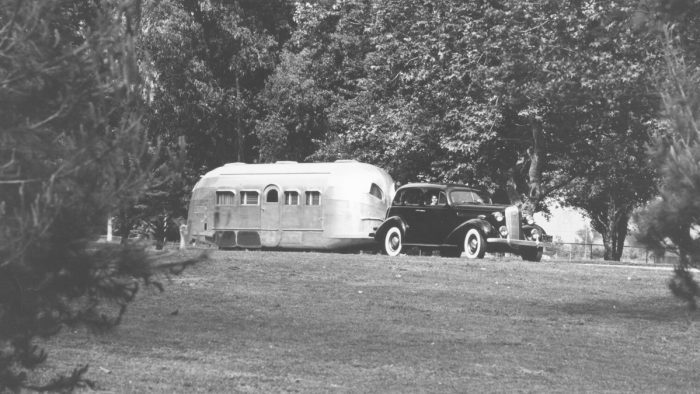 Soon his neighbors started asking him to build trailers for them like the one in his front yard, and he obliged. 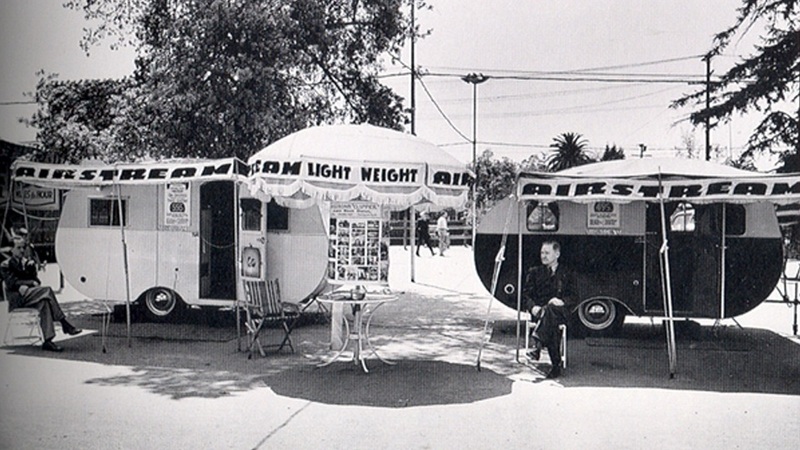 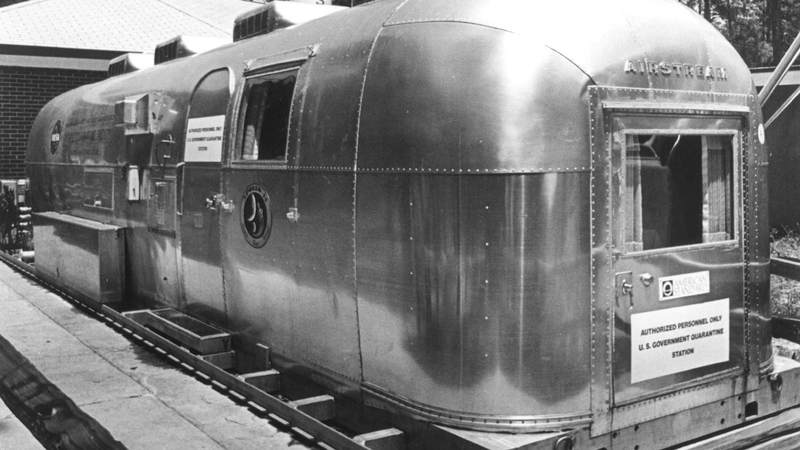 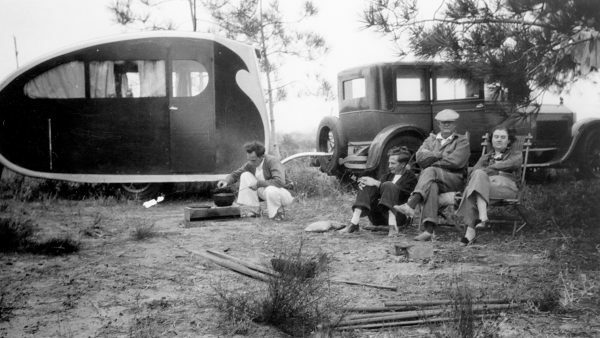 Noise complaints quickly followed, so Wally rented a building and opened a small trailer factory in Culver City, California in 1931 – Airstream’s first factory. 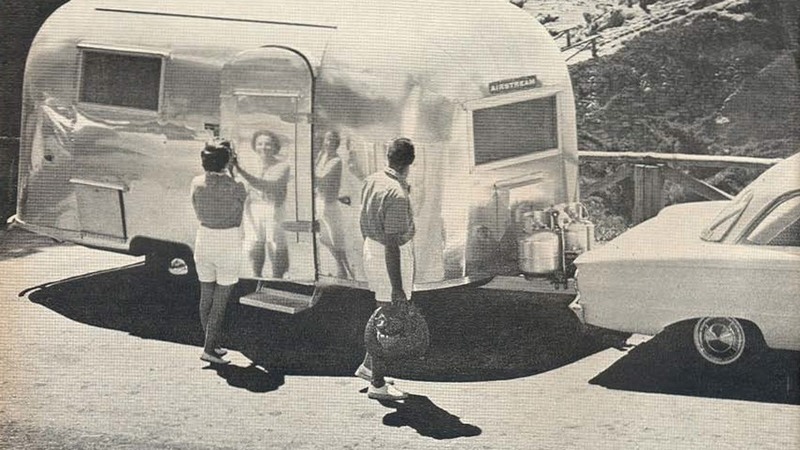 They soon relocated, but the Airstream dream was born. When the United States entered World War II after the attack on Pearl Harbor, aluminum became hard to come by. 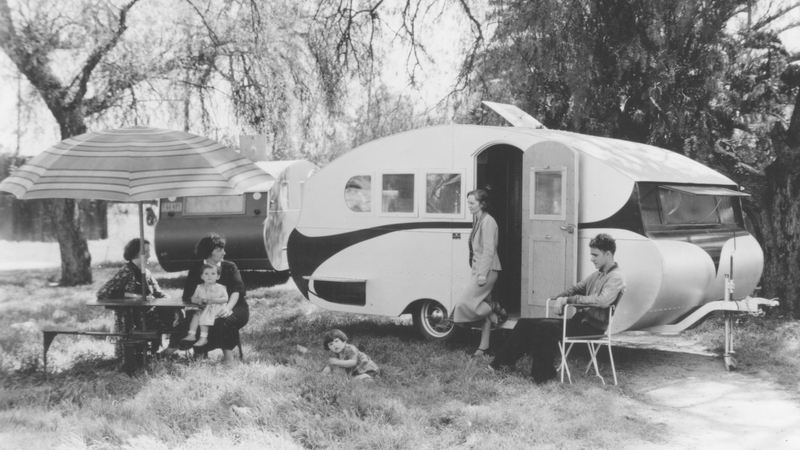 In fact, the government ordered that travel trailers could only be made as part of the war effort, not for public recreation. 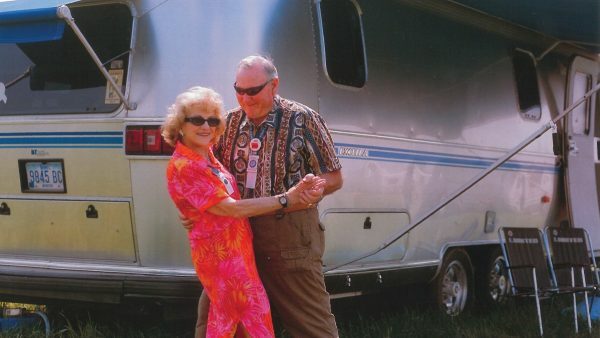 Wally saw Airstreams as a mode of travel – not a substitute for a house – so he decided to close up shop. 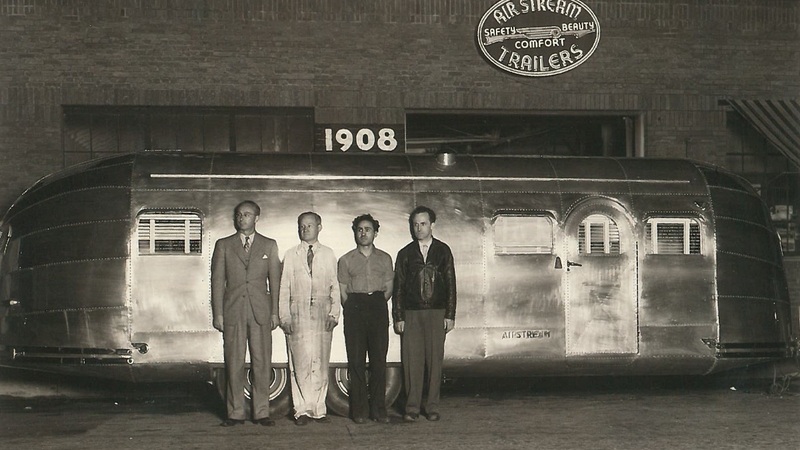 For the duration of the war, Wally and many Airstream crew members found employment in various aircraft factories in California. 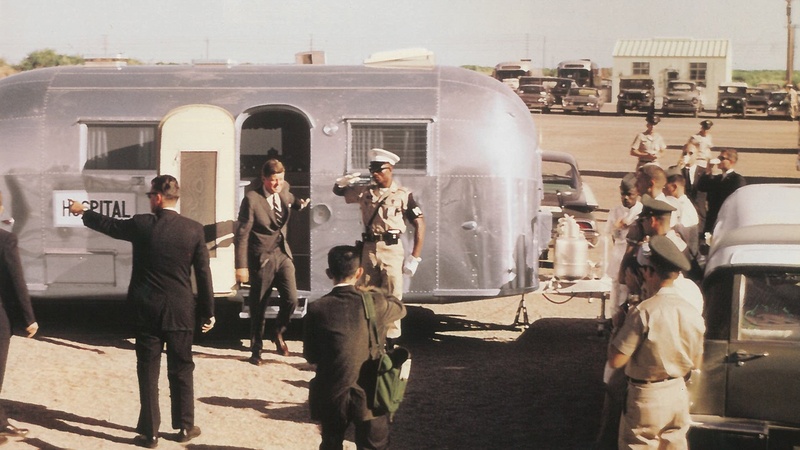 The experience they got from working on military planes would end up serving Airstream quite well at war’s end indeed. 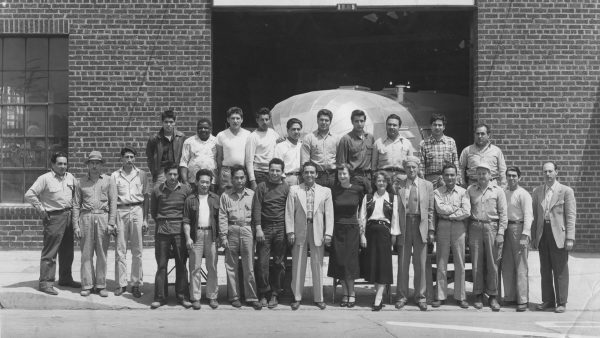 As World War II drew to a close, Wally Byam was working as a certified manufacturing engineer and production supervisor at Curtis Wright Industries. When the war ended in 1945, Wally persuaded the management at Curtis Wright Industries to let him manufacture a line of travel trailers called the Curtis Wright Clipper, similar to the Airstream Clipper in many ways, but improved with Wally’s new manufacturing know-how. 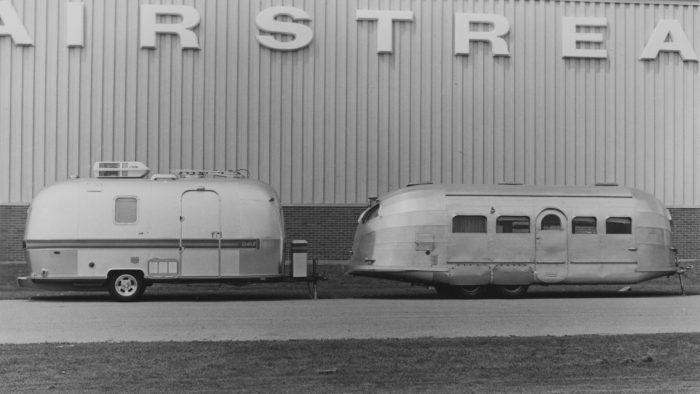 In 1947, Wally left Curtis Wright Industries and began manufacturing the Airstream Liner. 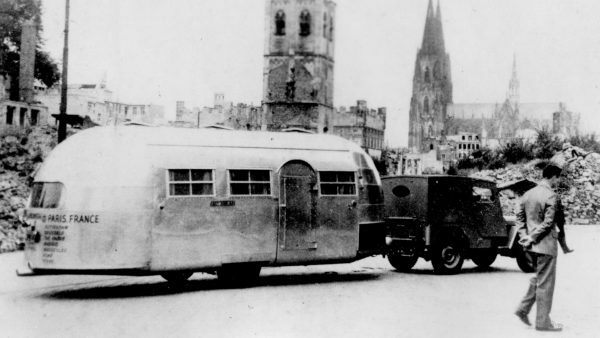 The next year, Wally went to Europe with his friend Cornelius “Neil” Vanderbilt, Jr. to tour the war-ravaged land. 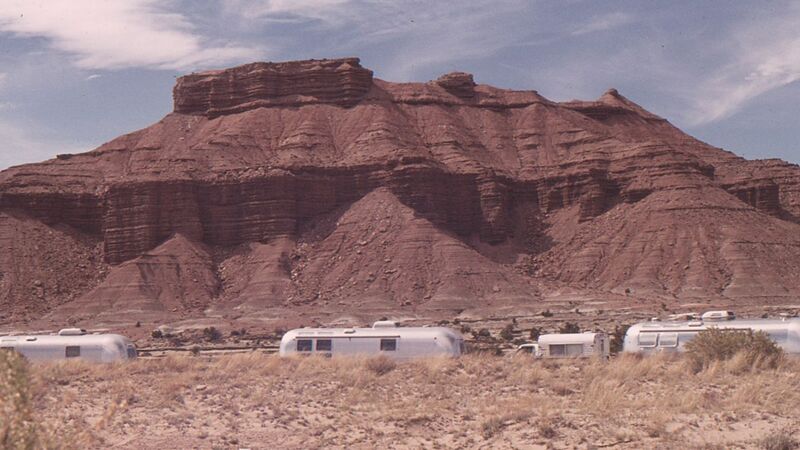 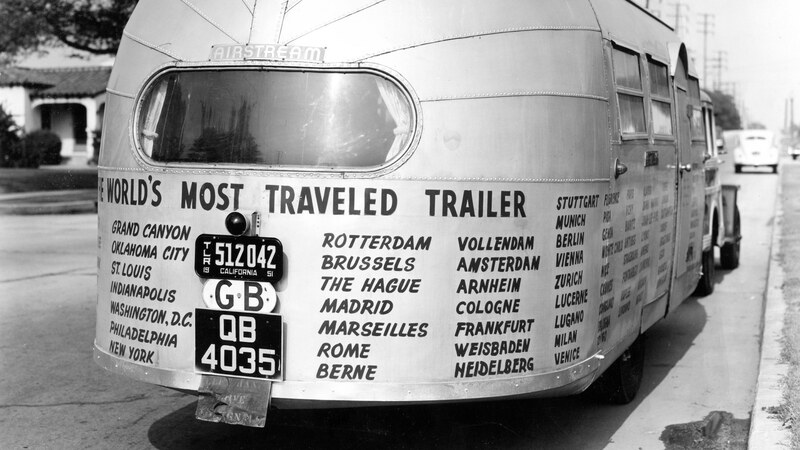 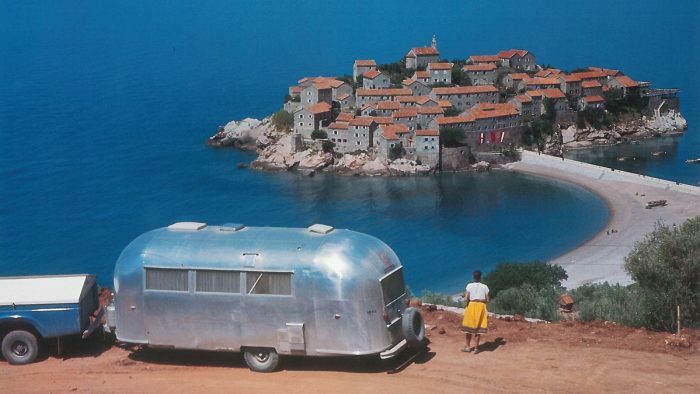 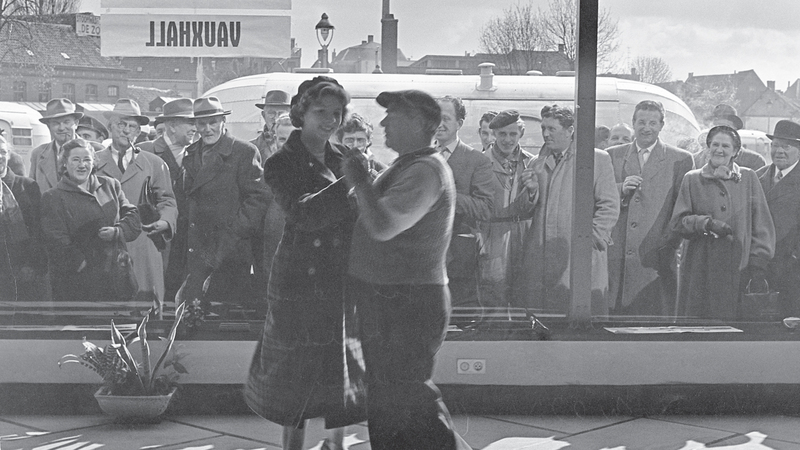 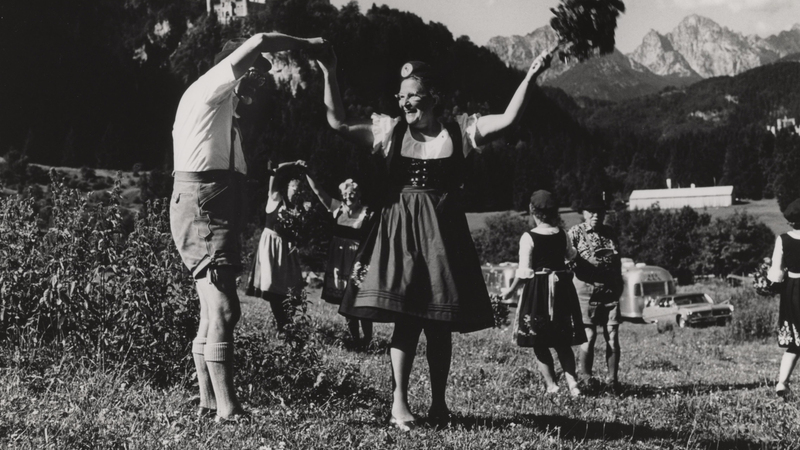 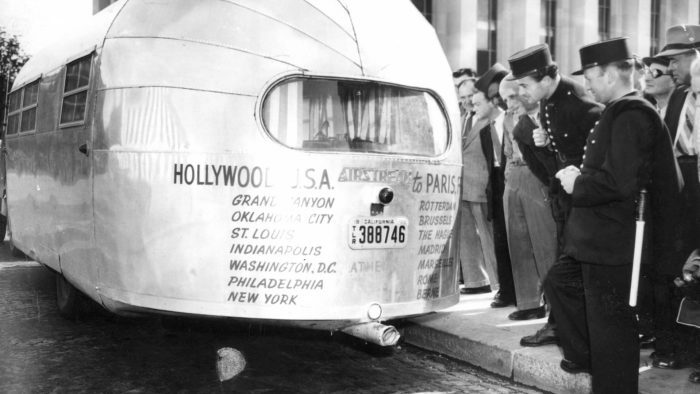 Neil’s goal was to film postwar Europe for lecture tours, but Wally’s was all for Airstream. 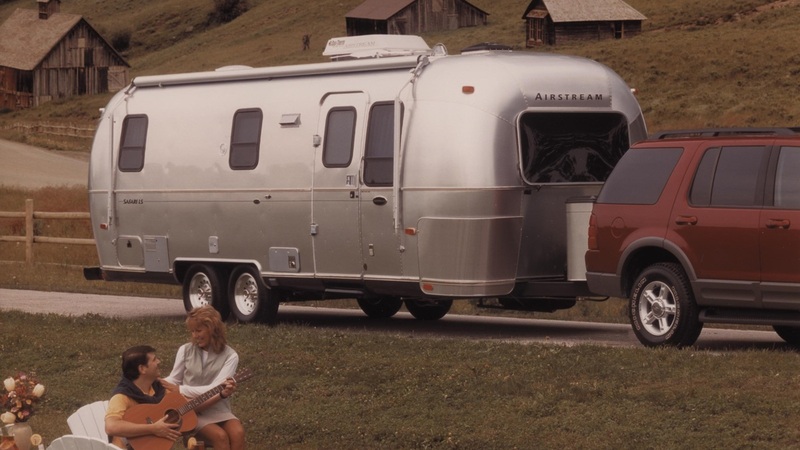 They traveled the continent in an Airstream trailer, and Wally wanted to road test the trailer to find weaknesses that needed fixing, as well as improvements that could be made. 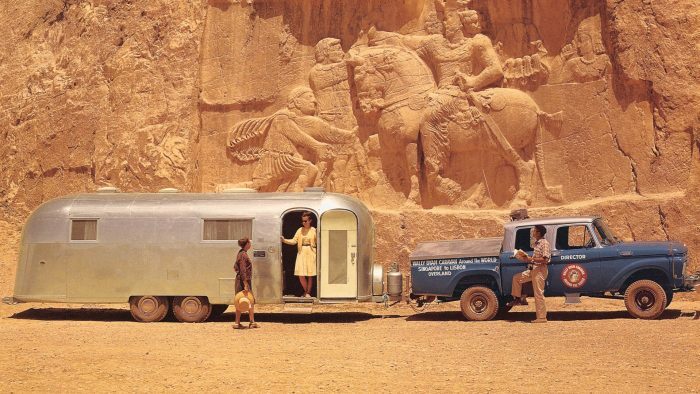 This may not have been the plan at the time, but the trip would end up as a precursor to the Airstream caravans that would follow in later years. 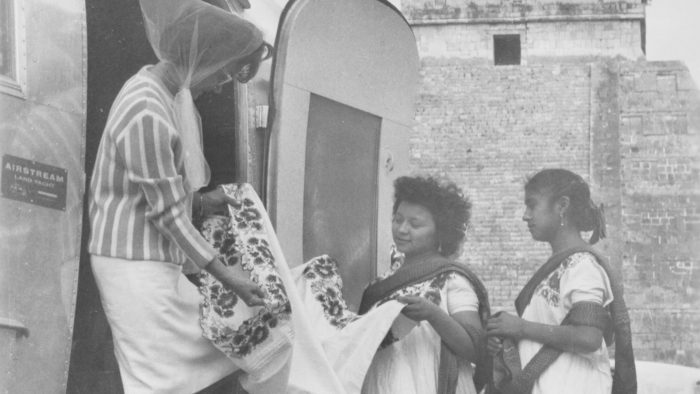 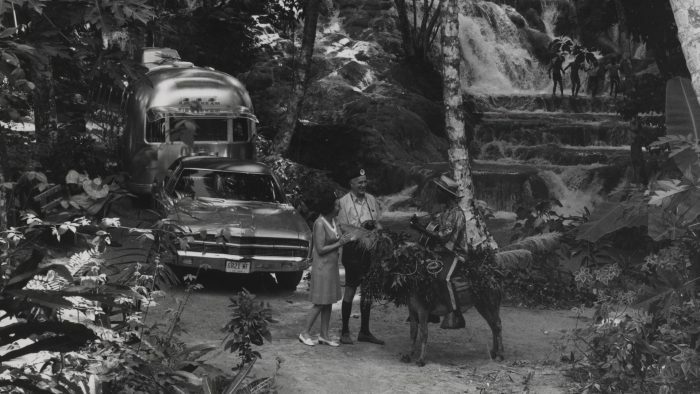 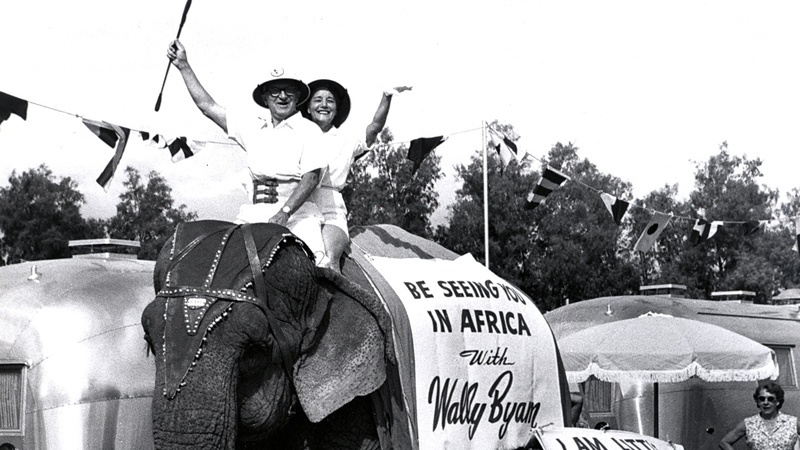 In 1951, Wally Byam decided to travel with a group of friends from Texas to Nicaragua. 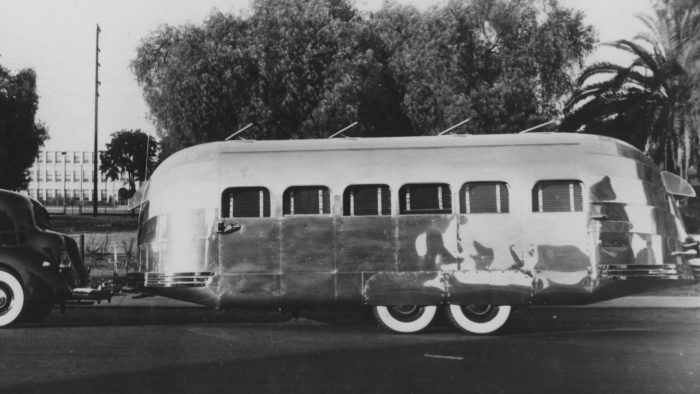 When a magazine picked up the story, he invited other adventurous Airstreamers to join in the Los Angeles Times. 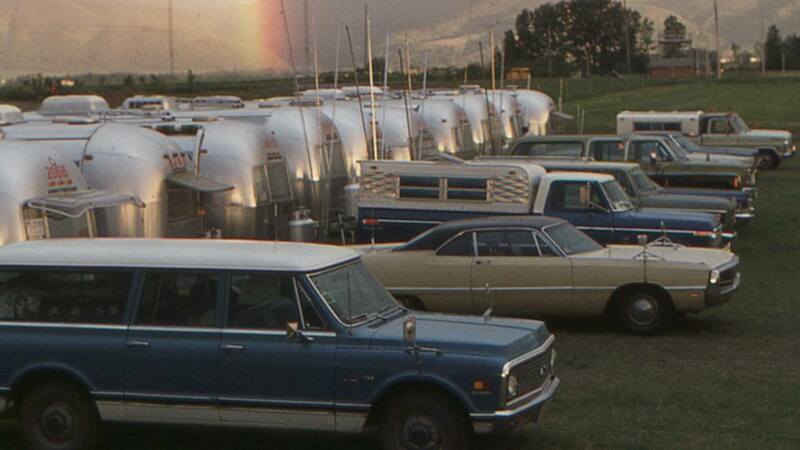 He expected about 35 trailers to show up; he got 63. 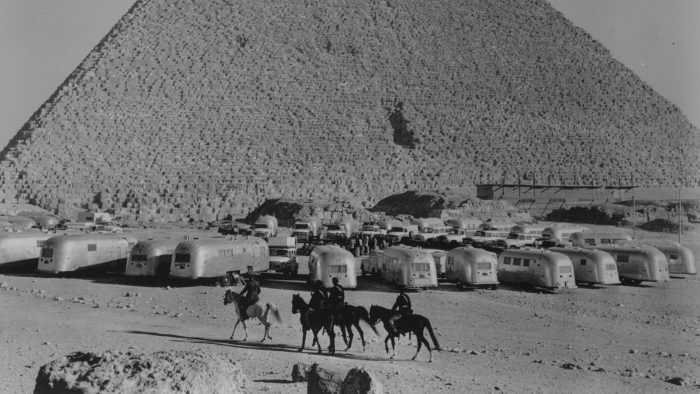 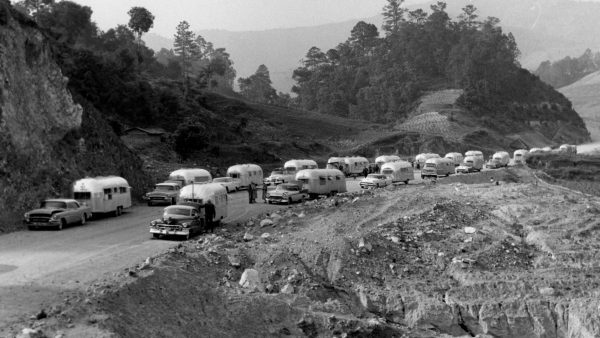 The first caravan wasn’t the smooth ride today’s Airstreamers are used to – nearly impassable roads and bad weather led to equipment failures, and many travelers dropped out early. Only 14 completed the trip, and Wally said he’d never do it again. 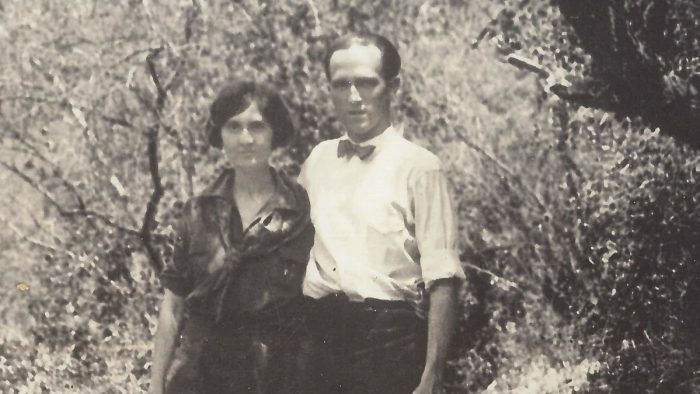 Luckily for all of us, that vow lasted only a year. 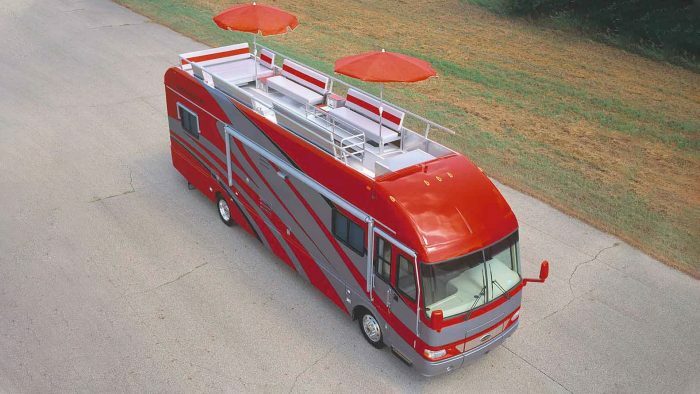 When you’re constantly trying to push the envelope on the road, you need to innovate. 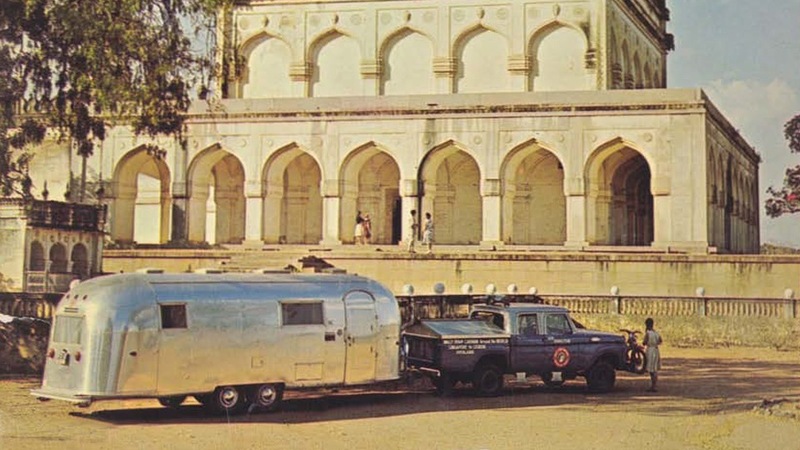 As people took Airstream trailers to new and more challenging locales, they needed more. 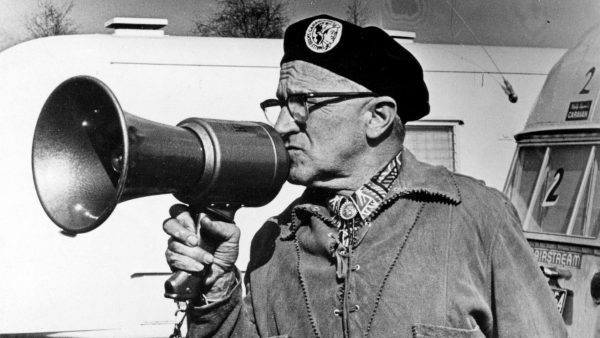 And Wally Byam fostered that, urging people to create what they needed when it didn’t already exist. In 1954, he convinced Mark Bowen of Bowen Water Heater Co. to develop the first hot water system ever in a trailer. 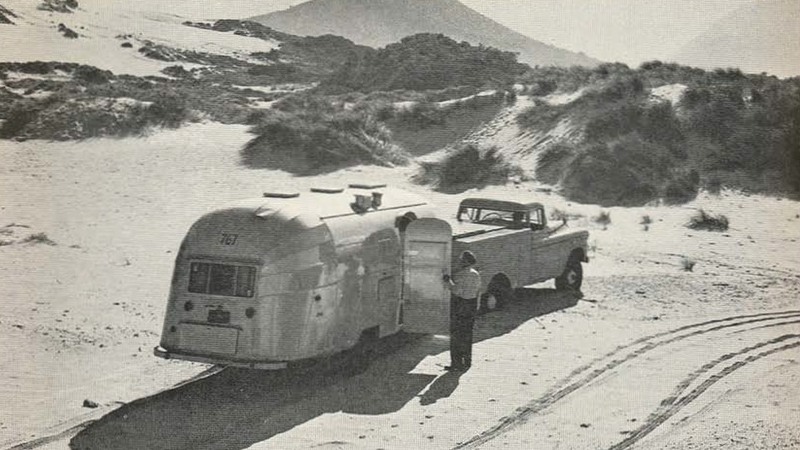 The 1958 Airstream International was developed as the first-ever “self-contained” travel trailer – one with full freedom from external trailer hookups, like outside sources of power. 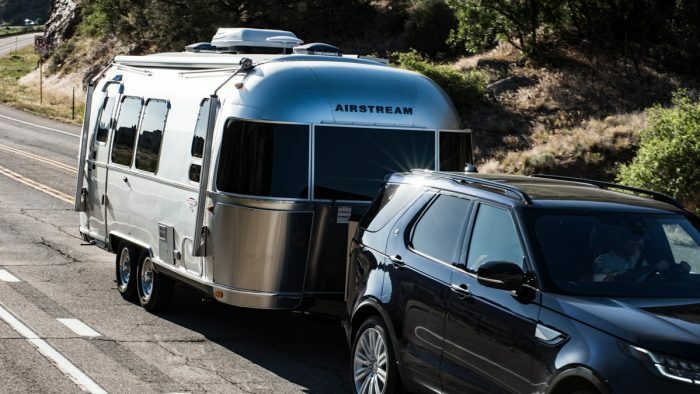 With new capabilities, Airstreams could go farther for longer than ever before. 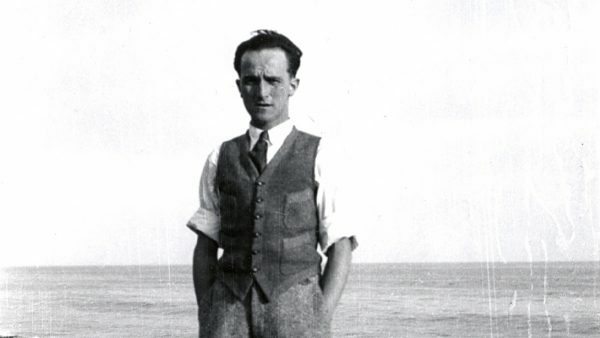 After battling cancer with his trademark tenacity, Wally Byam passed away on July 22, 1962. 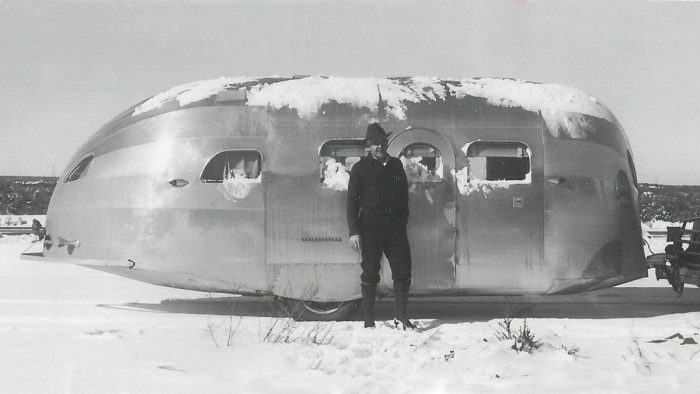 He left behind an Airstream company at its peak, working to meet the demand that Wally’s dreams and hard work had created for travel, adventure, and experiencing the world first-hand. As for a successor, Art Costello was formerly the President of Airstream Trailers, Inc. of California and Andy Charles was formerly the President of Airstream Trailers, Inc. of Ohio. 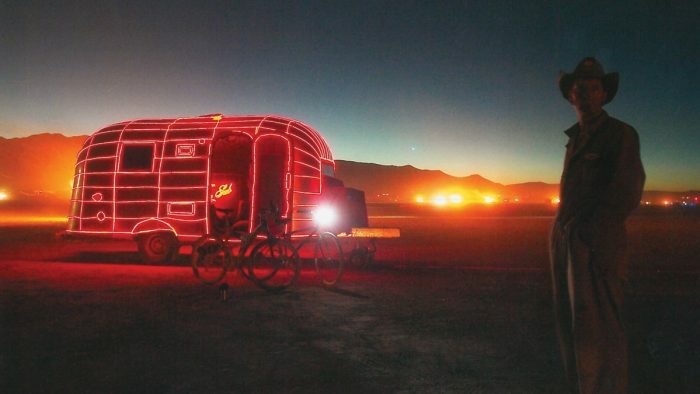 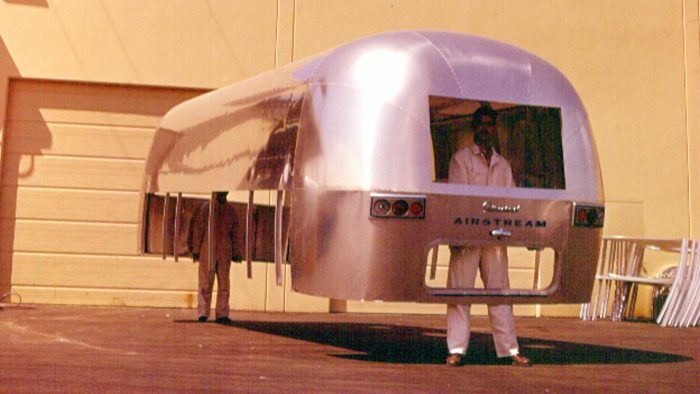 After Art became Airstream's President, Andy was voted Chairman of Airstream's board. 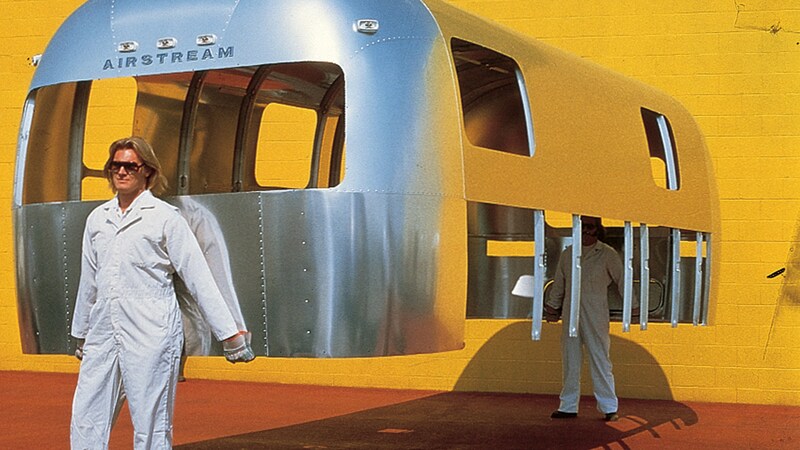 In 1969, the Airstream trailer had its first major redesign in over 30 years, with an internal facelift as well as exterior and structural changes. 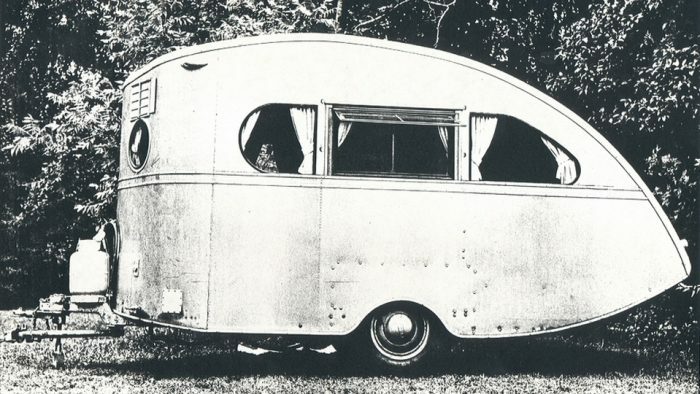 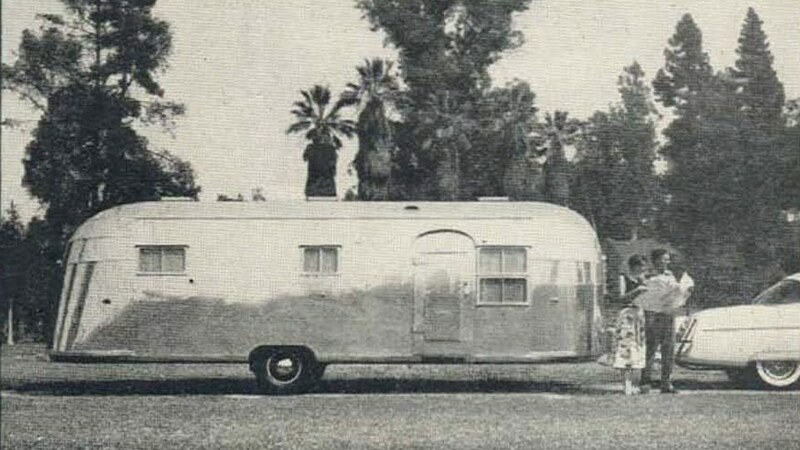 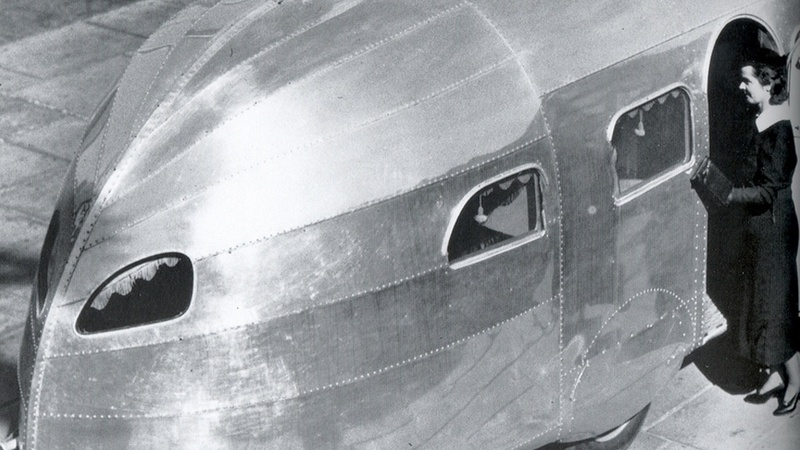 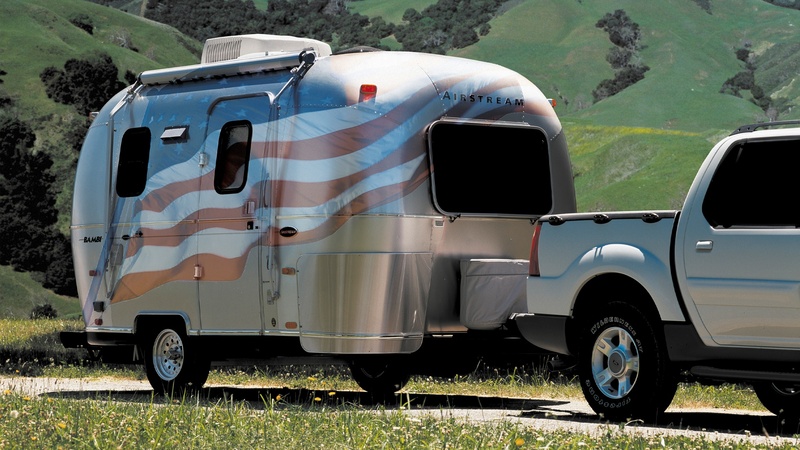 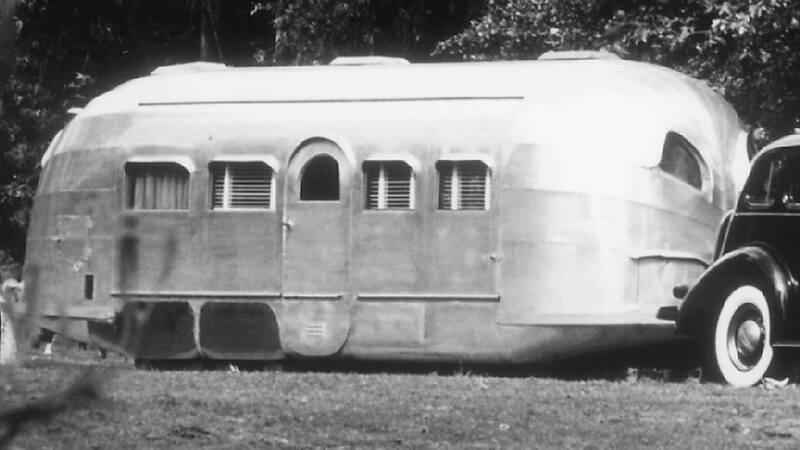 The end result was an Airstream with rounder edges that further enhanced the distinctive “silver bullet” shape. It even added a foot of length and four inches of width. 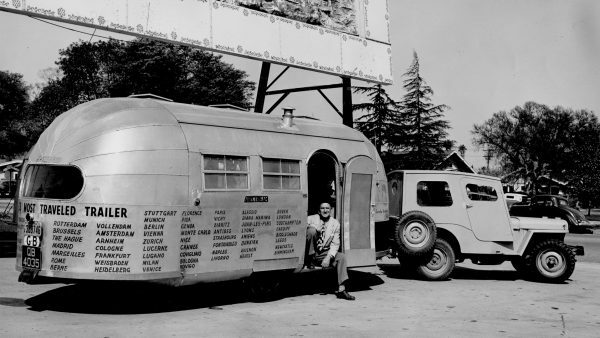 It was a big step on the path from Wally’s first trailer to the one you see on the road today. When humans first visited the moon in 1969, it was feared that the astronauts who walked on its surface might bring back disease or other maladies with them. 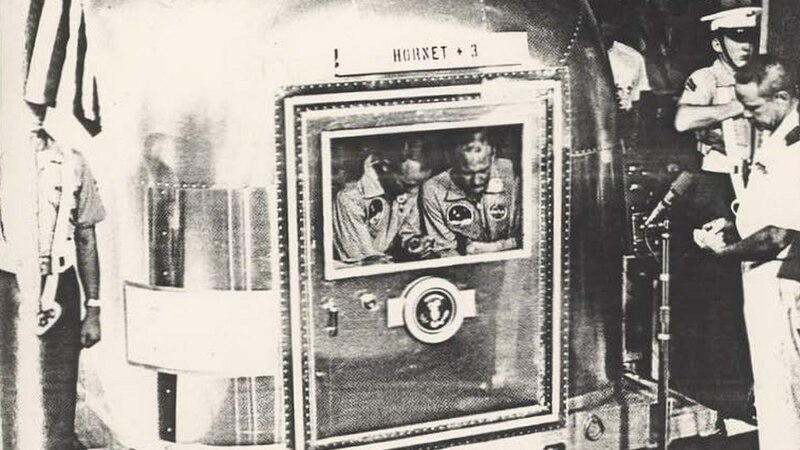 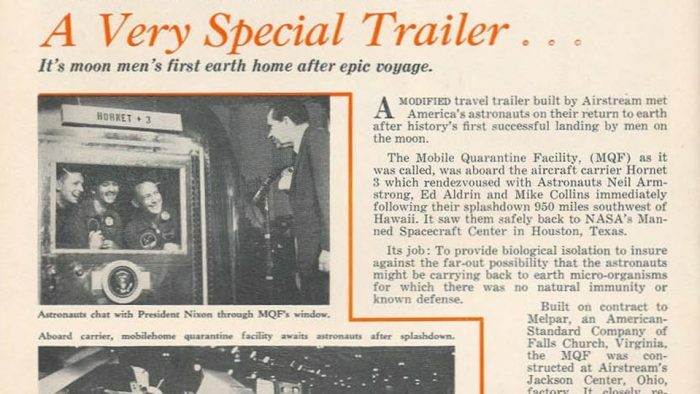 NASA took every precaution, and it was decided that the Apollo 11 trio would be quarantined upon their safe return. 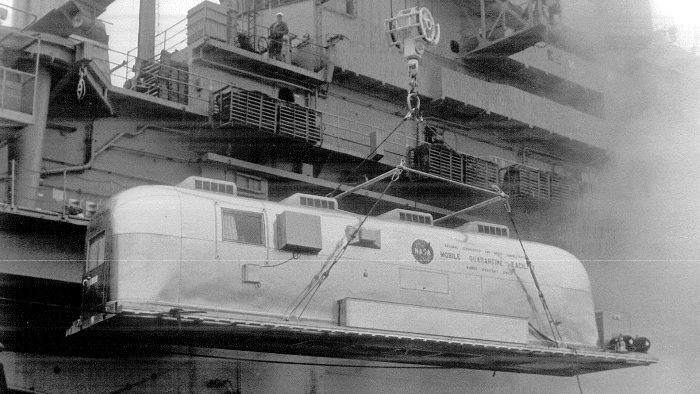 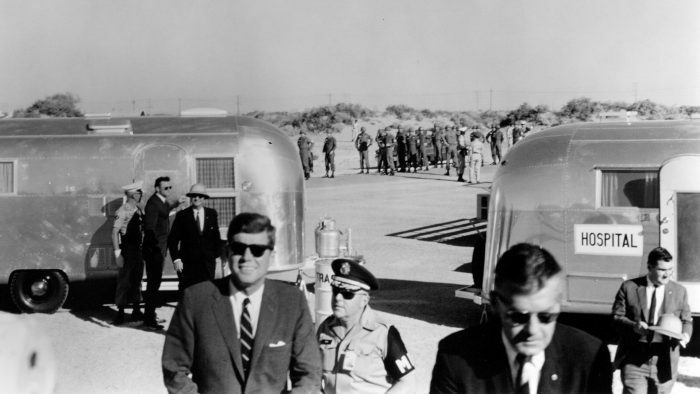 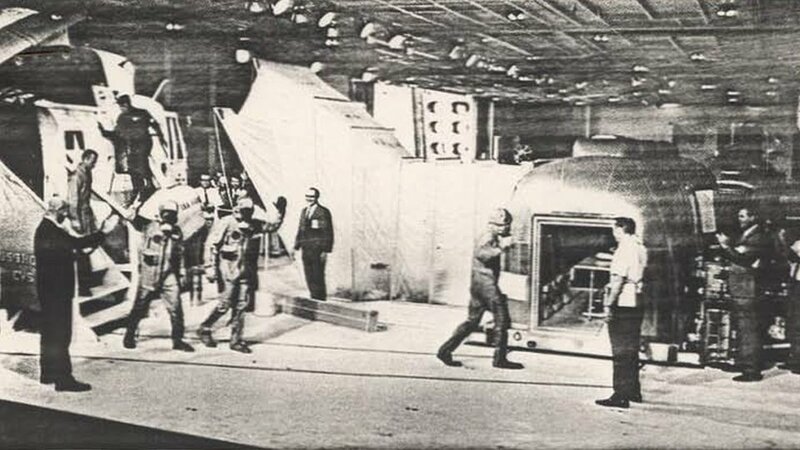 Airstream was tasked with constructing a “mobile quarantine facility” that could be taken to the USS Hornet, which would greet Neil Armstrong, Buzz Aldrin, and Michael Collins. 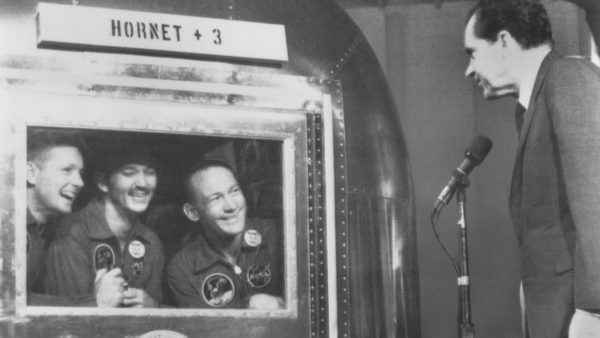 There’s even a famous photo of President Richard Nixon speaking to the trio from outside. 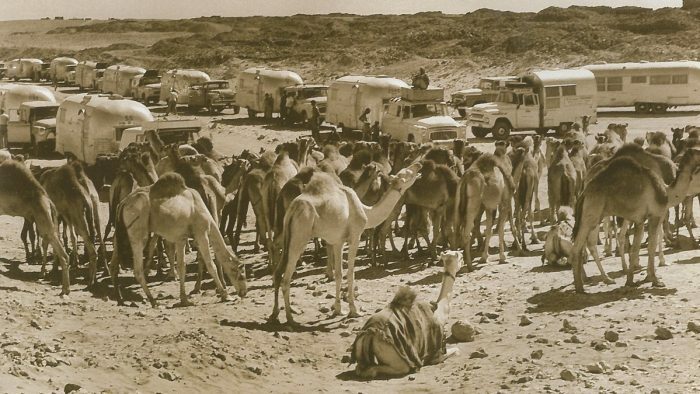 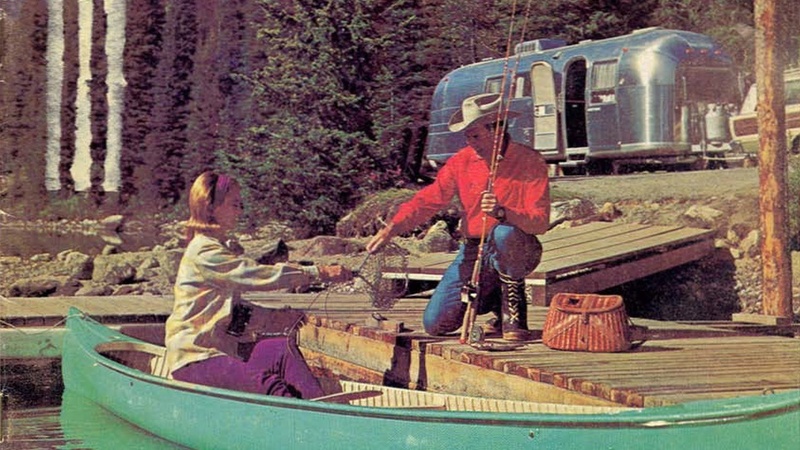 For the first four decades or so of Airstream’s life, we were exclusively a travel trailer company – Wally Byam had thought several times about diversifying and producing a motorhome, but each time decided against it. 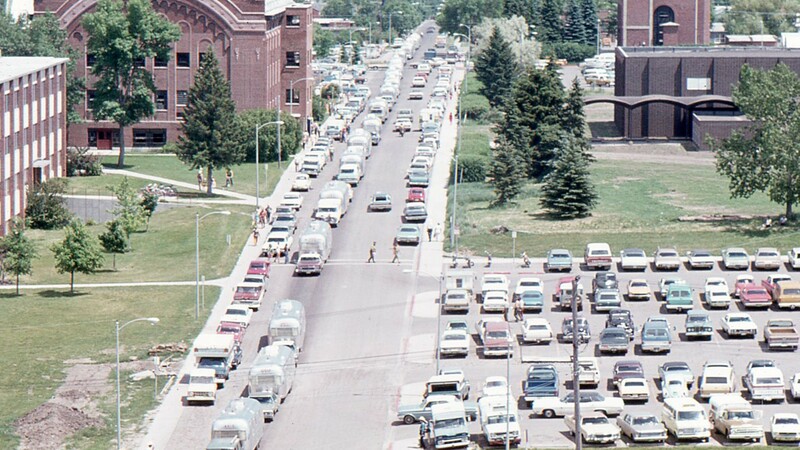 In 1974 that all changed. 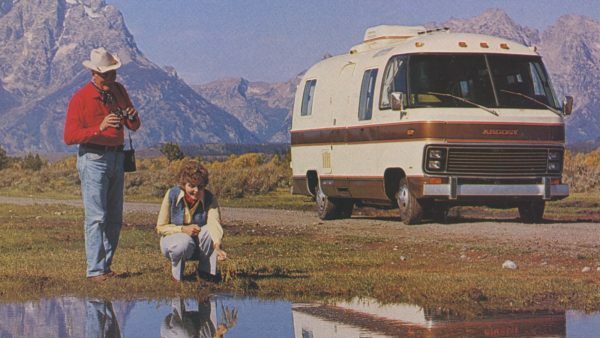 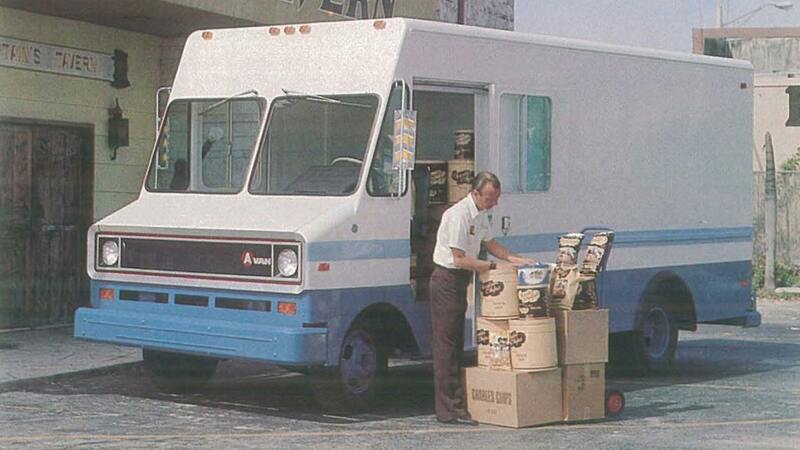 With leadership wanting to avoid being entirely dependent on one product for revenue, the Argosy motorhome debuted. Sales were modest, and the Argosy line would be discontinued in 1979. 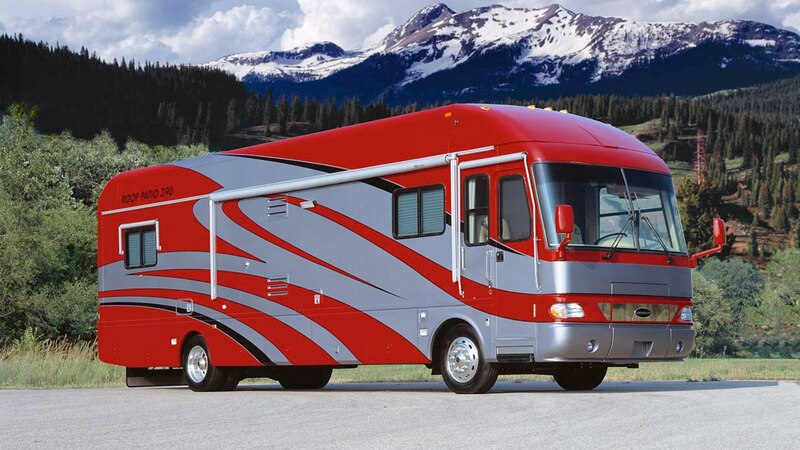 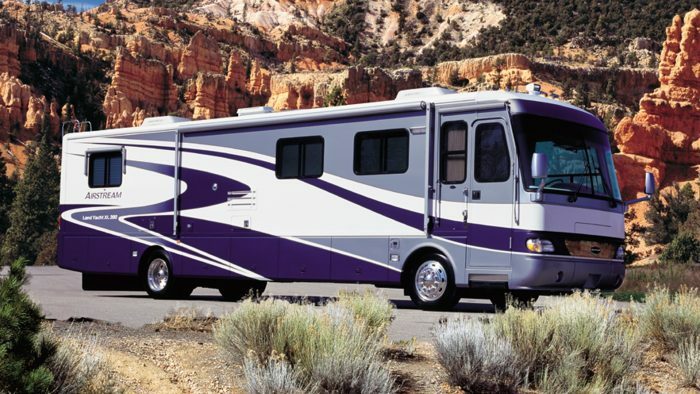 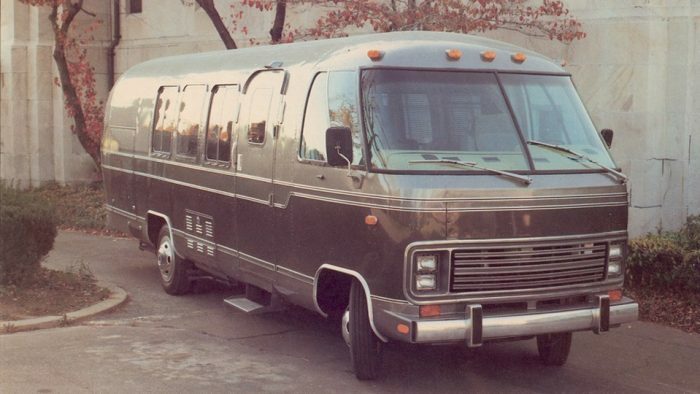 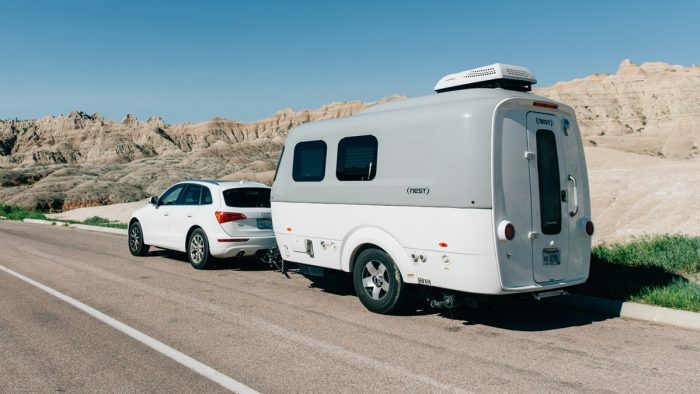 But the will to innovate would live on in later models like the Classic motorhome, the Land Yacht motorhome, and the Interstate touring coach. 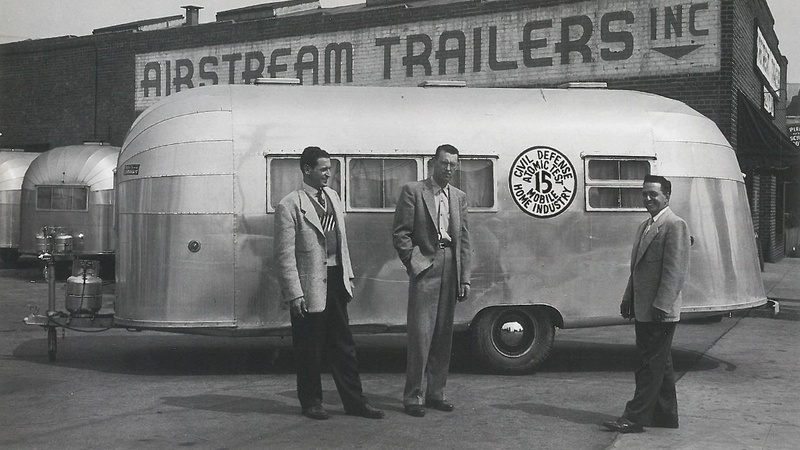 In the late 1950s, Airstream purchased four acres in Jackson Center, Ohio, near our Midwest factory. 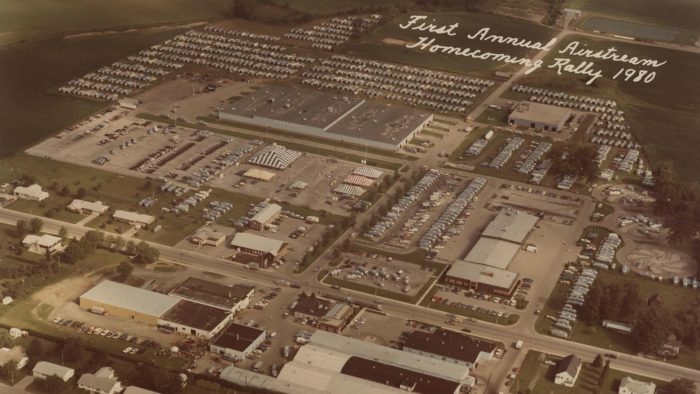 In 1971 a seed was planted there, and from it grew the world’s most modern trailer manufacturing facility – 150,000 square feet in total. 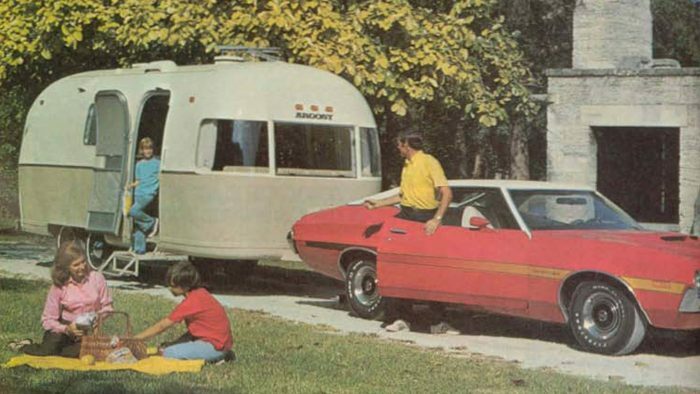 As a recession and the Middle East gas crisis hit American drivers hard in the late 1970s, it did the same to Airstream. 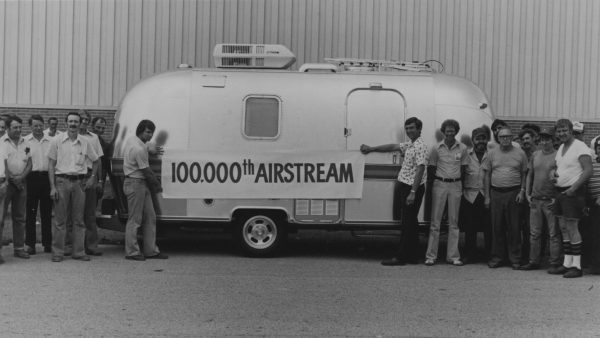 With the expansion of the Jackson Center facility and a need to consolidate, Airstream finally made the move east complete. 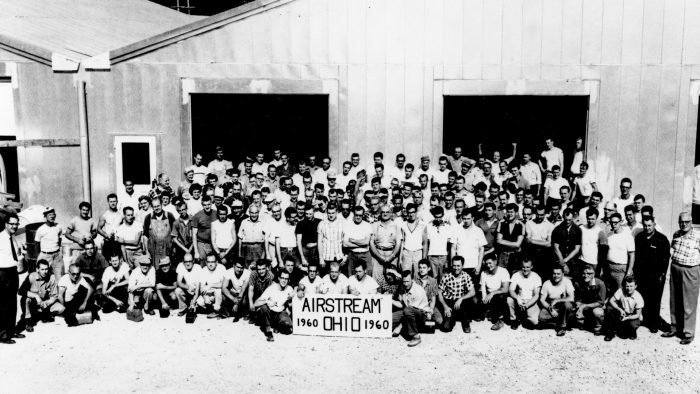 The California plant was closed in 1978, and all manufacturing and executive operations would move to the Ohio complex – where they remain today. 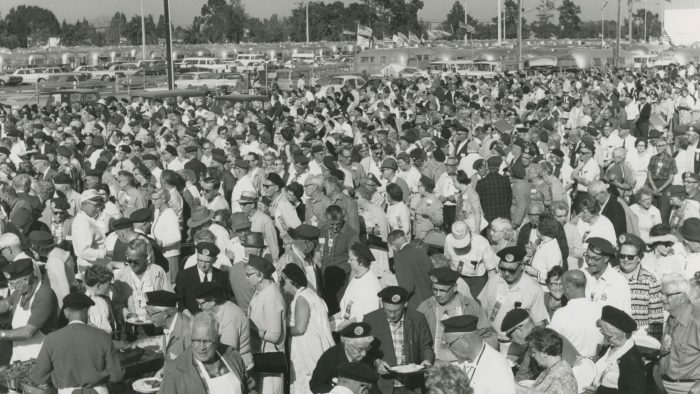 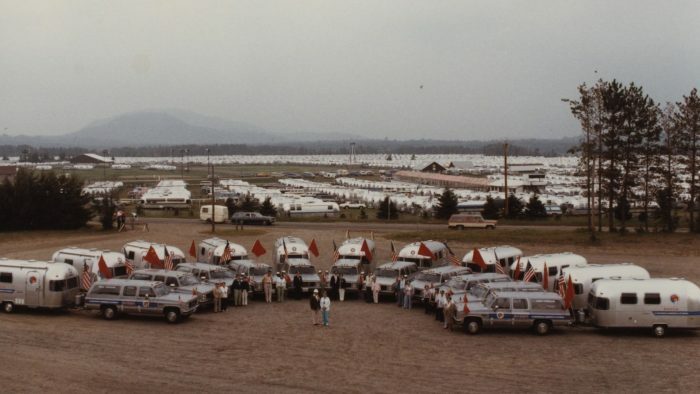 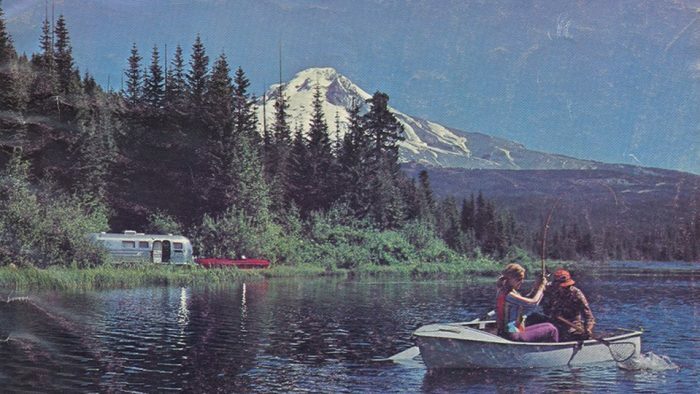 The Wally Byam Caravan Club International has been around since the 1950s, and in the 1970s and 80s they held numerous rallies and caravans around the world – even some places many Americans weren’t as keen on visiting at the time. Communication and diplomacy between the U.S. and China had been non-existent for 25 years until relations were repaired starting with Richard Nixon’s famous visit in 1972. 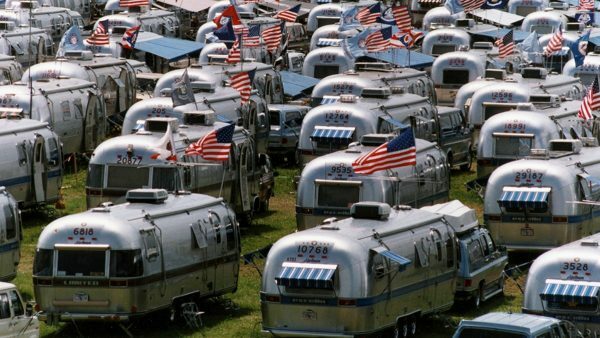 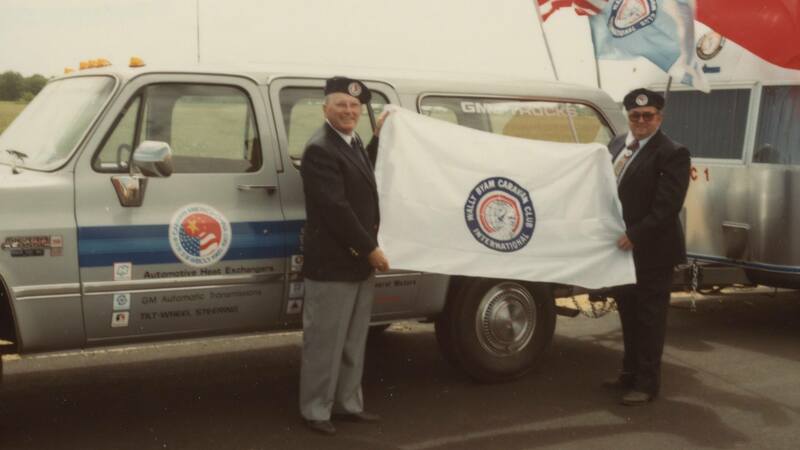 A little more than a decade later, a caravan of Airstreamers toured the country in 1985. 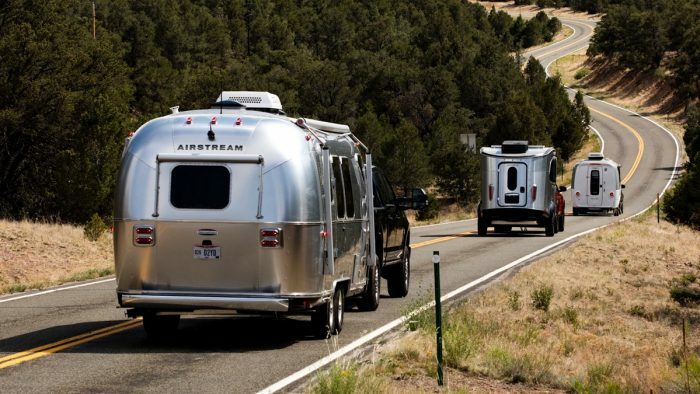 The design and beauty of the Airstream trailer have gained it many admirers, and after decades of touring the roads and campsites of America (and the world), it’s gone from being an oddity to a true American icon. 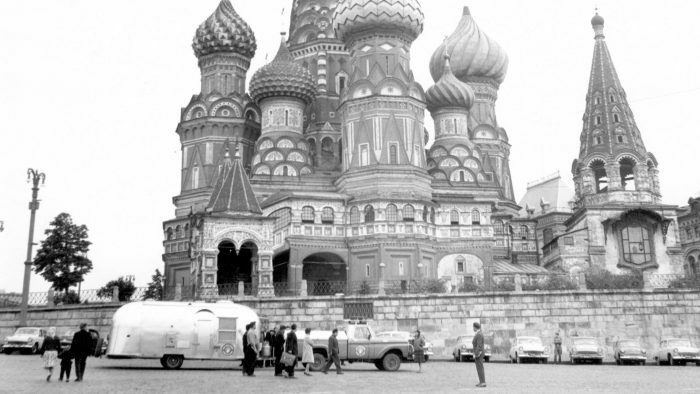 One example? 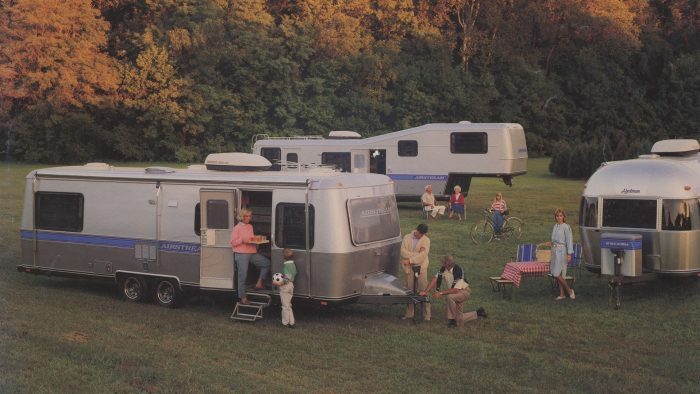 In 1987, Money magazine chose the Airstream travel trailer as one of “99 Things That, Yes, Americans Make Best” alongside titans of American industry like Coca-Cola and Heinz ketchup. 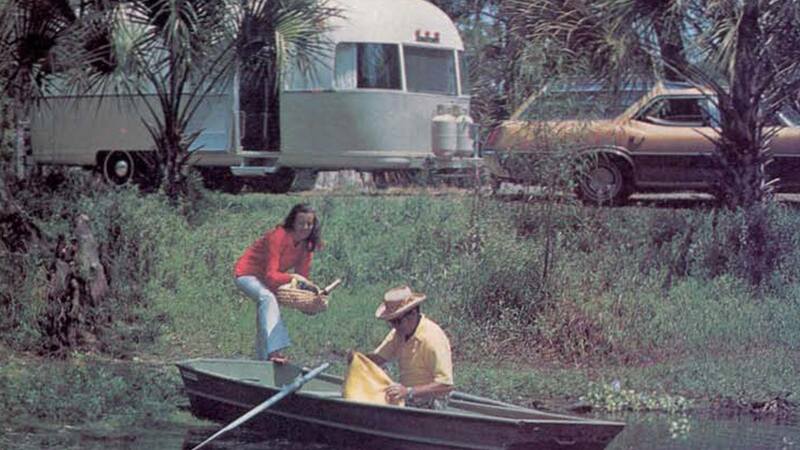 With the quality and longevity of Airstream and our trailers, often an individual trailer can still find great use for decades or even longer. 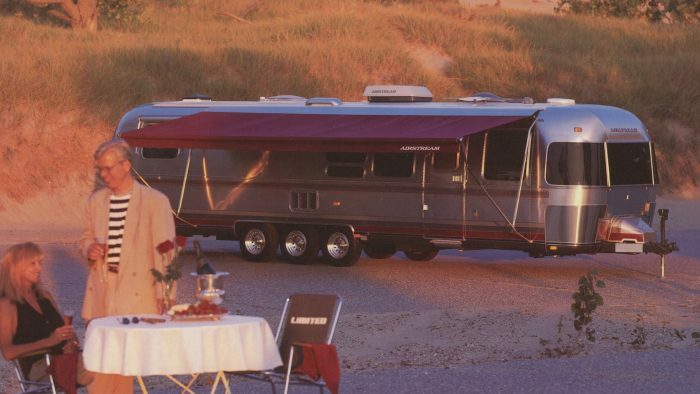 In the late 80s and early 1990s, interest in older Airstreams began to grow, including restoring them to their original glory and renovating them to mix vintage and modern styles. To meet this demand, in 1993 a new chapter within the Wally Byam Caravan Club International was formed, appropriately named the Vintage Airstream Club. 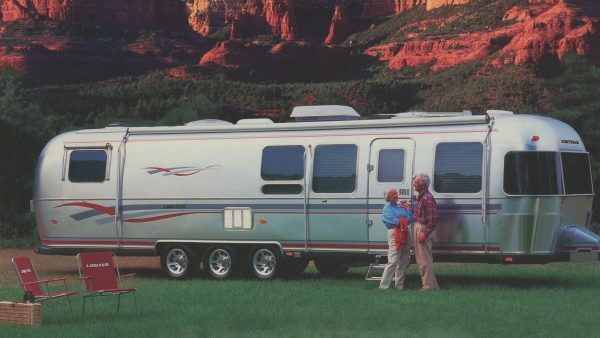 To join, owners have to have a trailer that’s at least 25 years old. 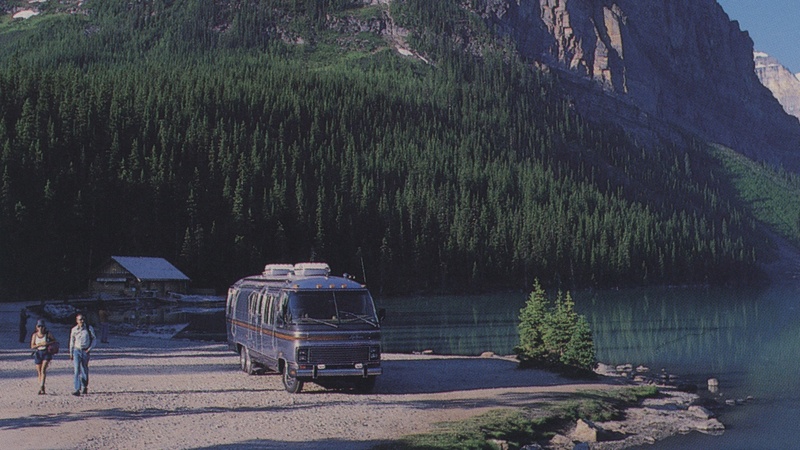 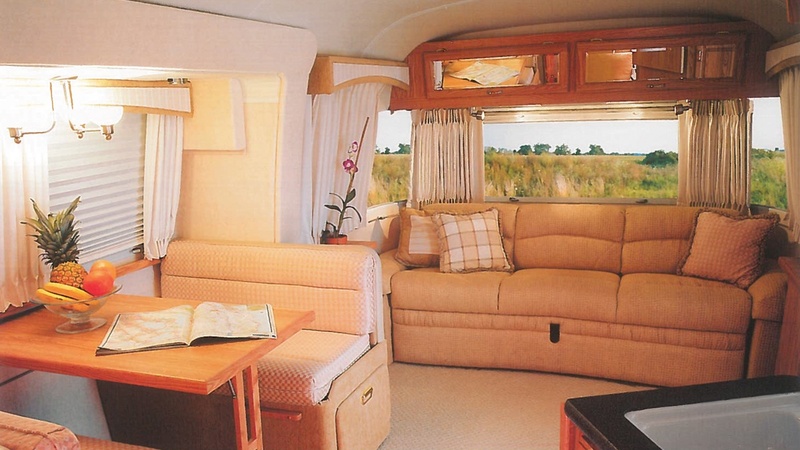 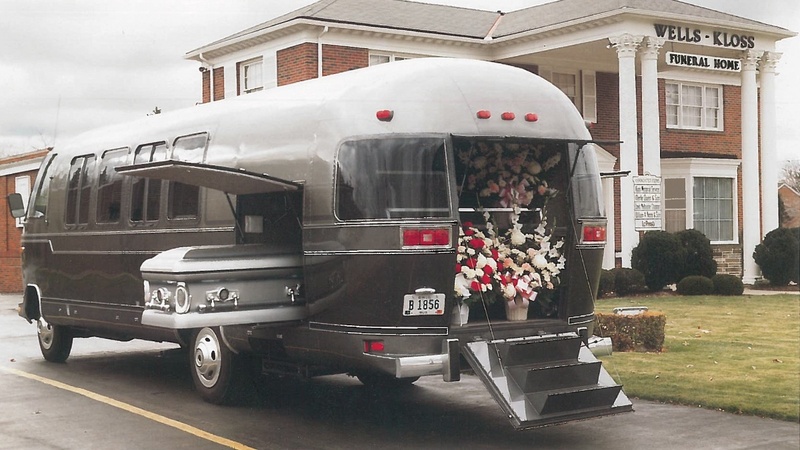 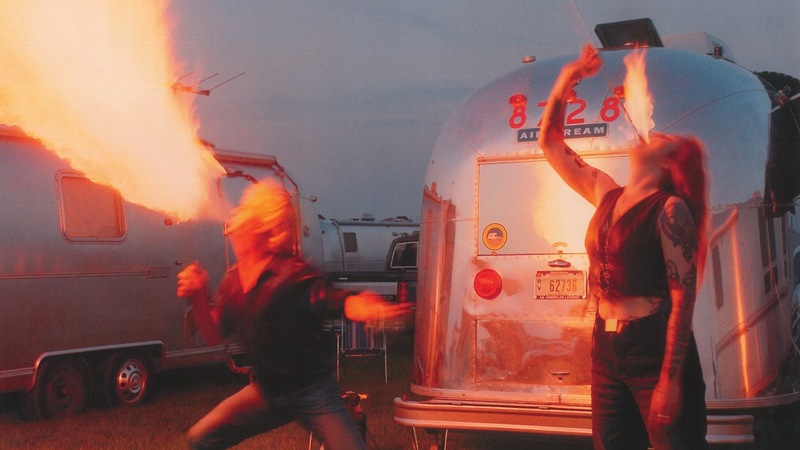 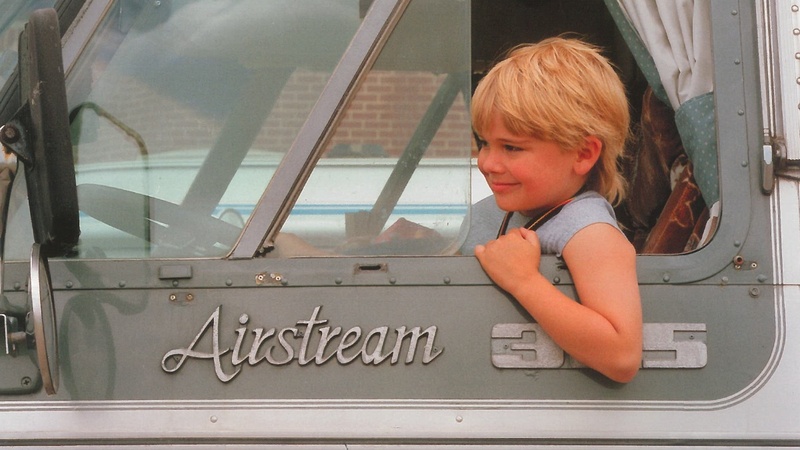 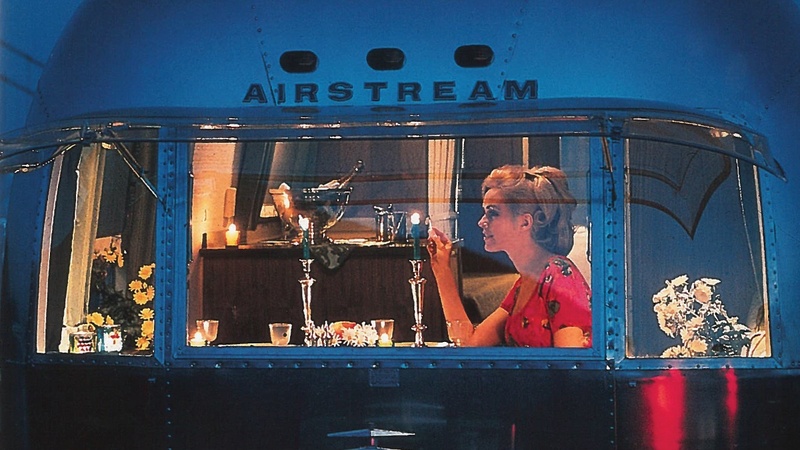 In addition to honoring Airstream’s rich history, the 1990s saw a rededication to newer generations of travelers. 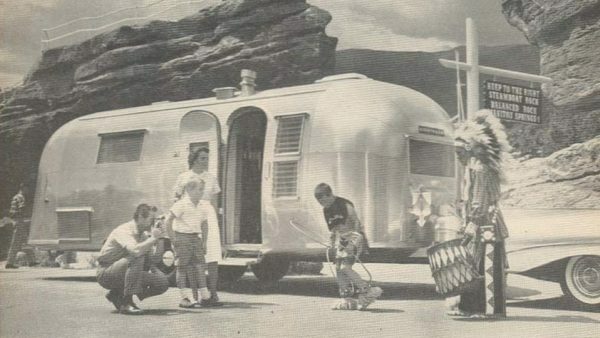 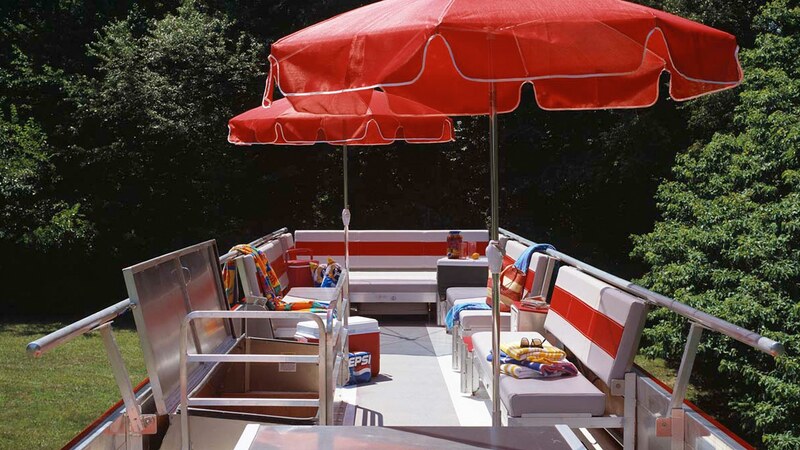 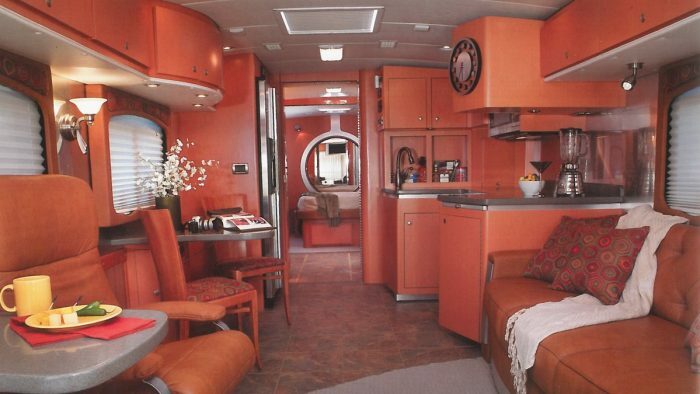 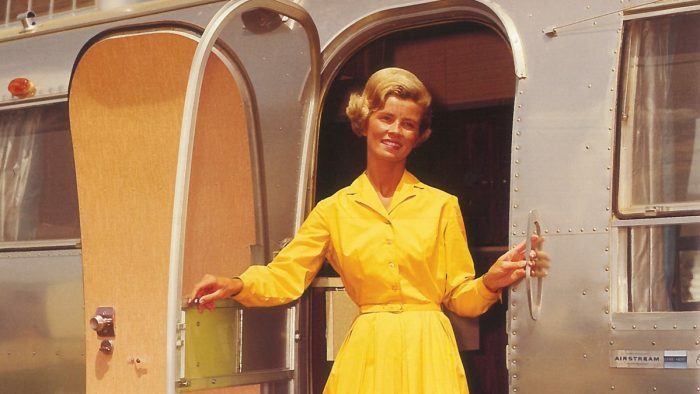 To attract younger buyers, a new version of the 1950s Safari travel trailer was introduced. 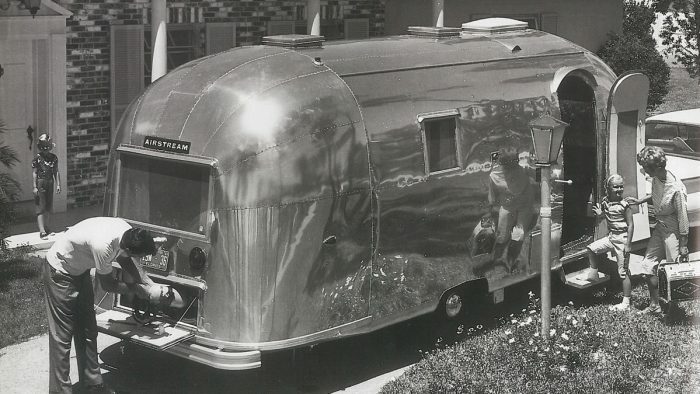 With a cost 20 percent less than its contemporaries, it was easier to afford while maintaining the quality Airstream demands. 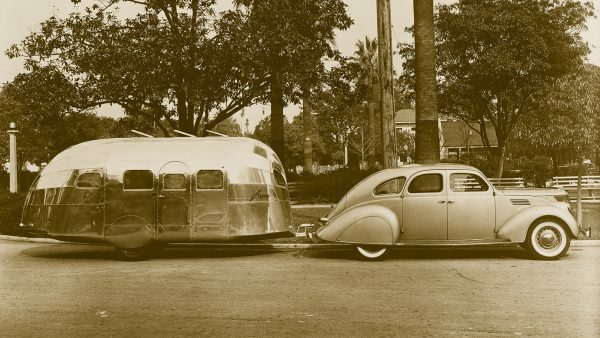 And because it weighed 20 percent less than a traditional trailer, it could be towed by lighter vehicles. It was a hit, and quickly about half the Airstreams being sold were Safaris. 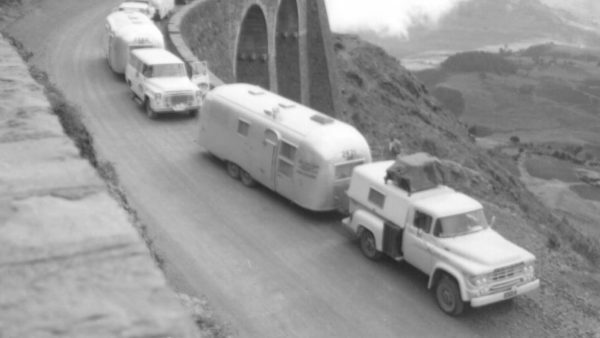 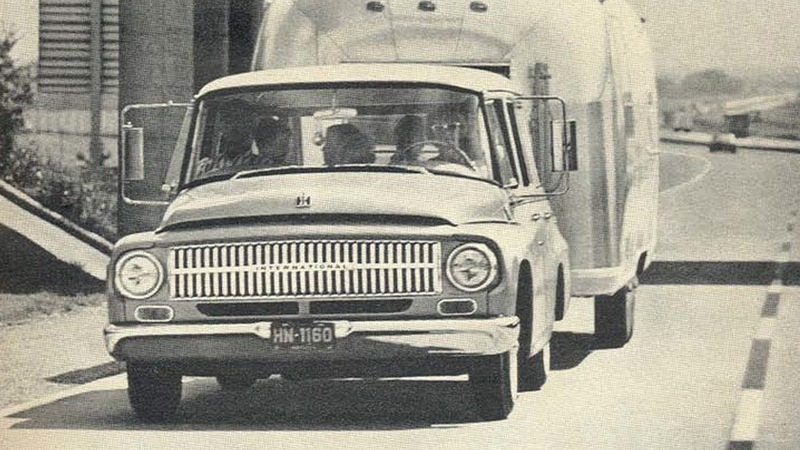 As for the new trailers rolling off the line, it had been since 1969 that any major design change had been made. 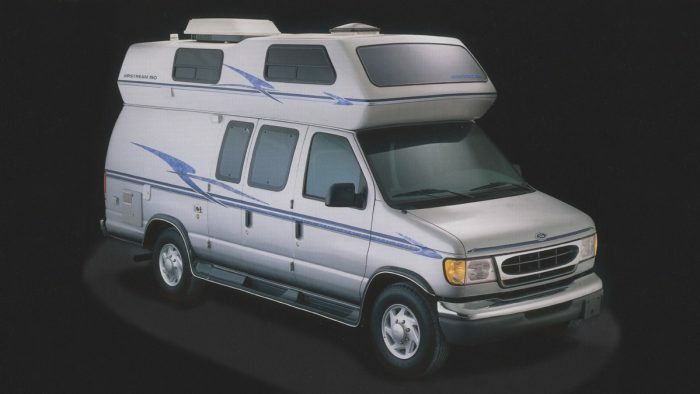 In 1994, the first redesign in almost 30 years was made, adding about five-and-a-half inches in width in addition to a total interior change. Along with changes to profile and structure and shape, these alterations made a bigger, more comfortable travel trailer, while maintaining performance and the classic design. 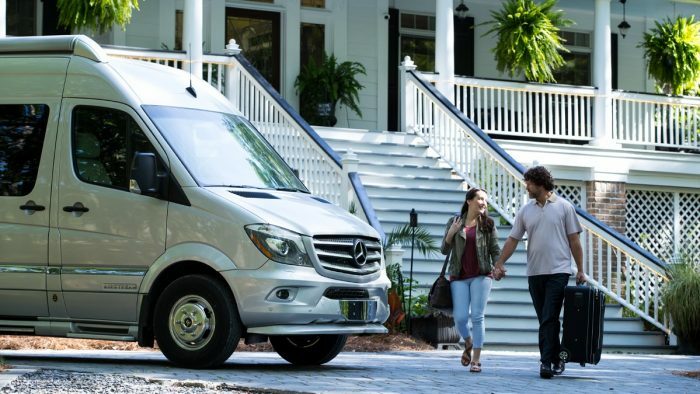 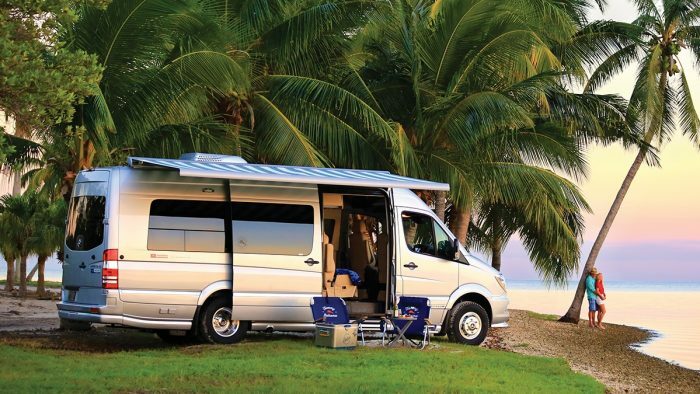 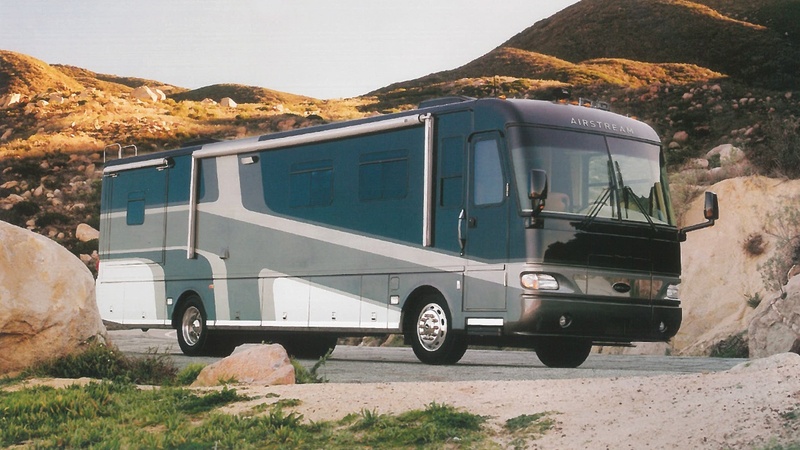 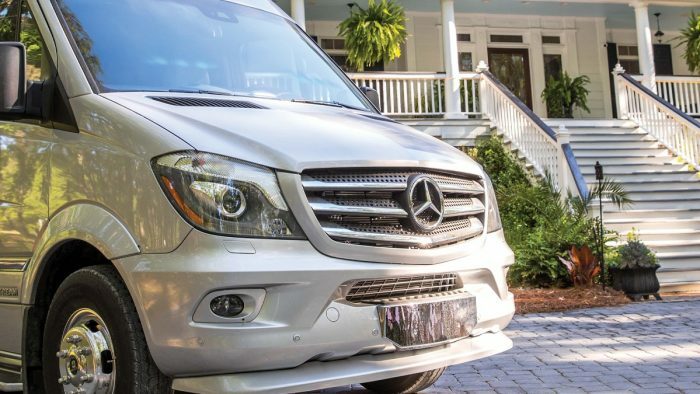 Though Airstream had experimented with motorhomes in the past, the launch of the Interstate Touring Coach in 2004 was the beginning of a truly inspired collaboration with Mercedes-Benz®. 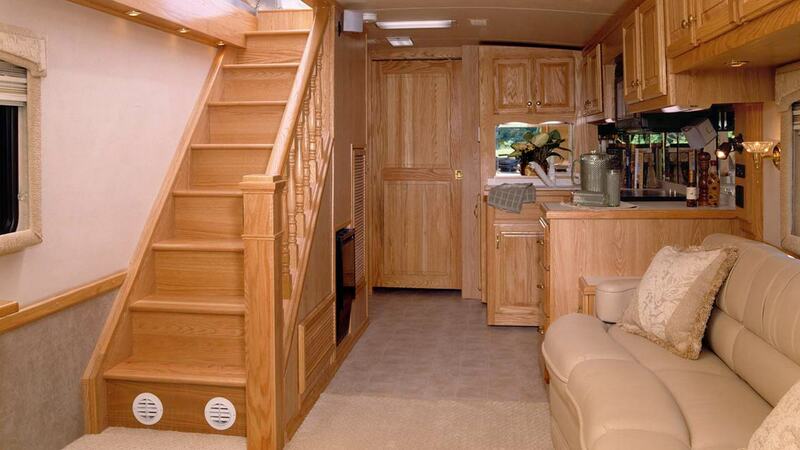 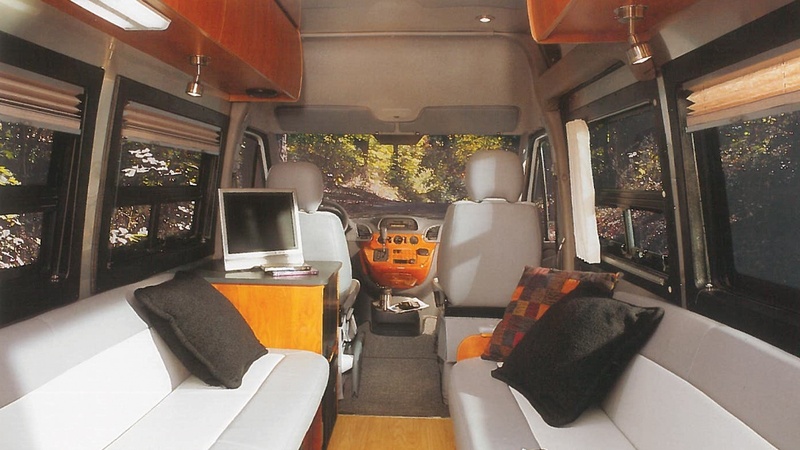 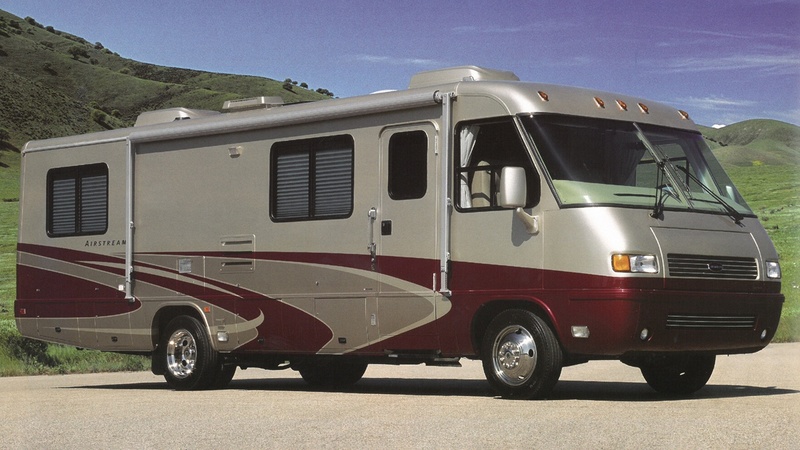 The Class B RVs were built on Sprinter van chassis with capacity to seat several people, yet still feel like a motorhome with a full kitchen and bath. Those first Interstate coaches were the basis for today’s touring coach lineup. 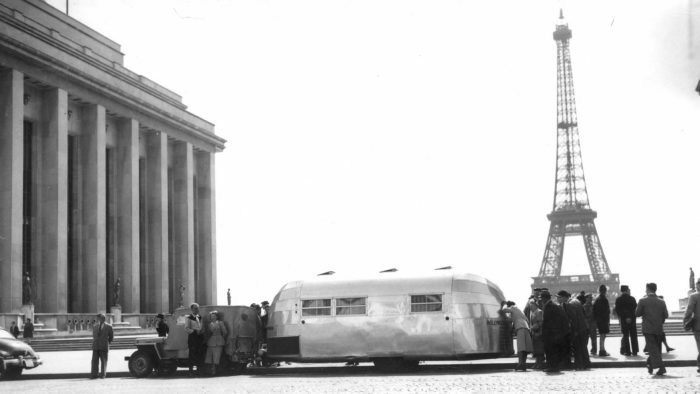 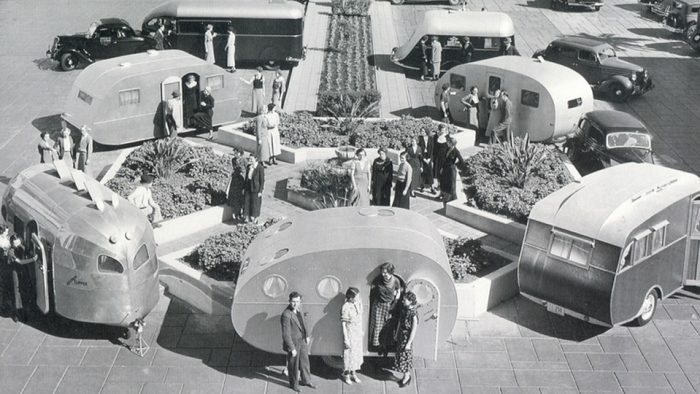 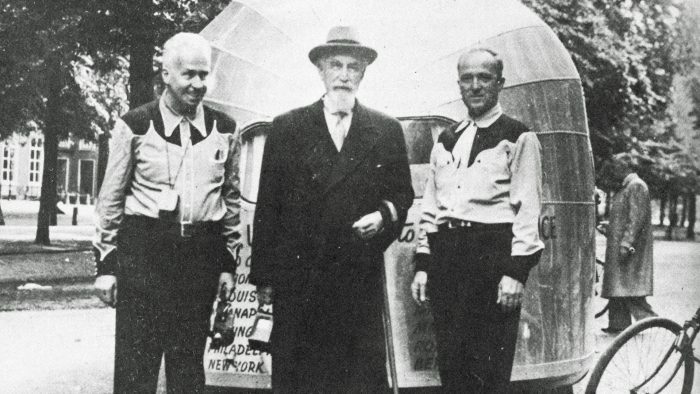 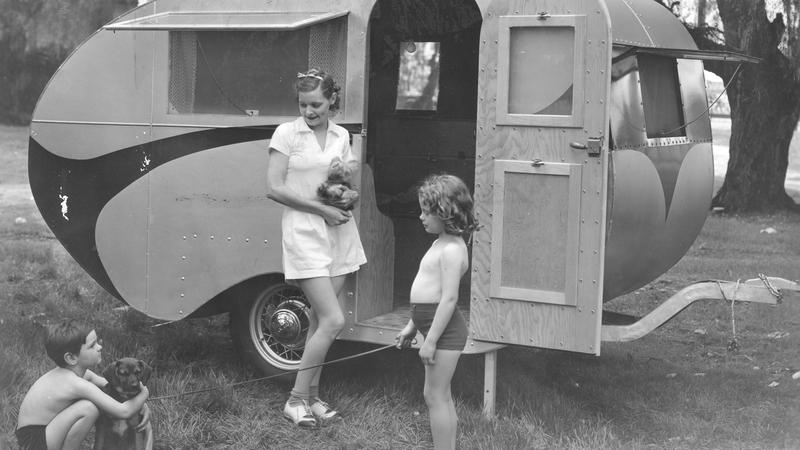 The next year, Airstream itself had its 75th birthday. 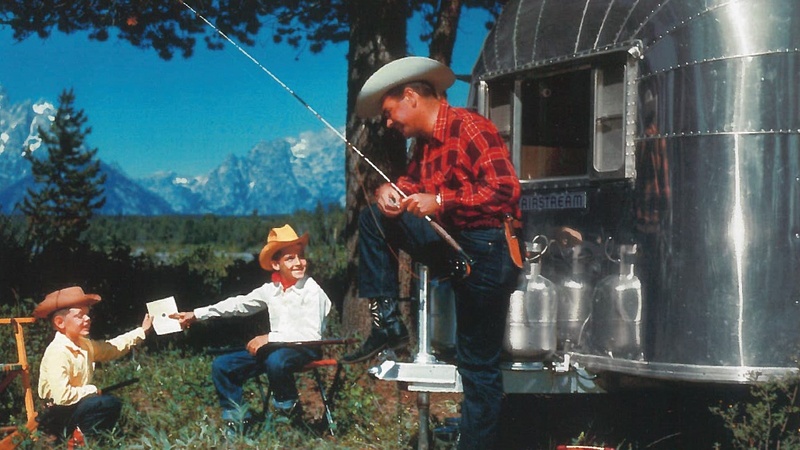 The silver bullet design has stood the test of time, and so has the riveted-aluminum construction. 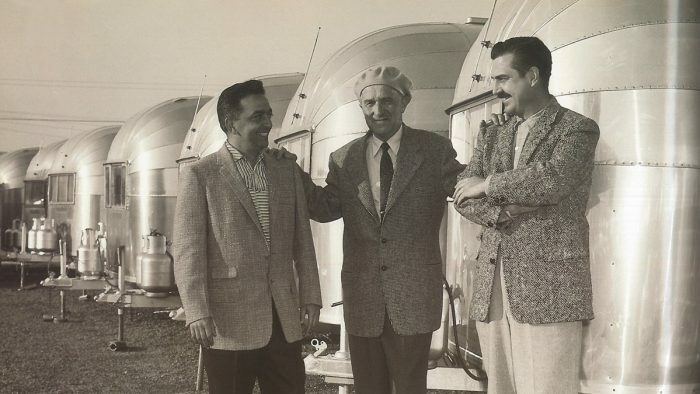 The company’s longevity is reflected in the products we build – in 2006, 65% of the Airstreams that had been built since Wally Byam’s first trailer were still on the road. 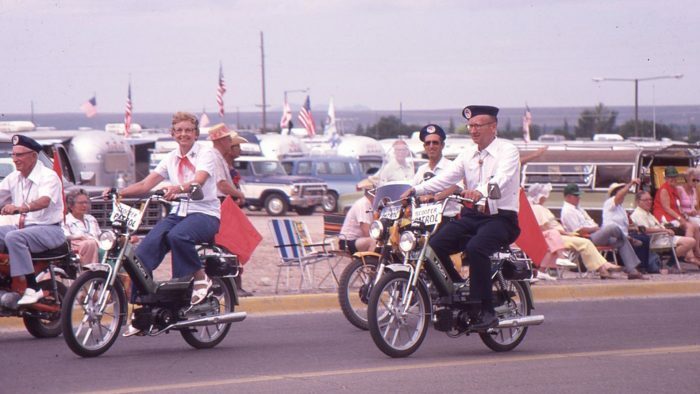 In fact, some of those aged warriors included some of the ones built from the five-dollar plans Wally sold before the first factory was even open. 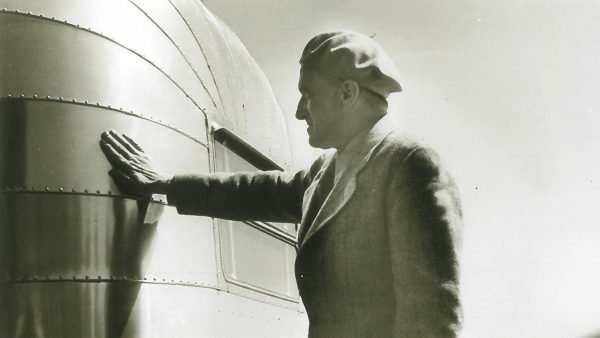 While today’s travelers are inspired by the same kind of wanderlust and curiosity as our founder Wally Byam was almost 100 years ago, the way they want to travel continues to change. 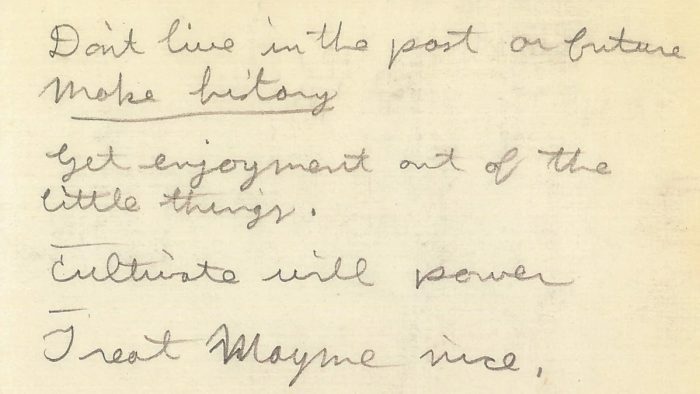 And it’s our job to keep our finger on the pulse of those changes. 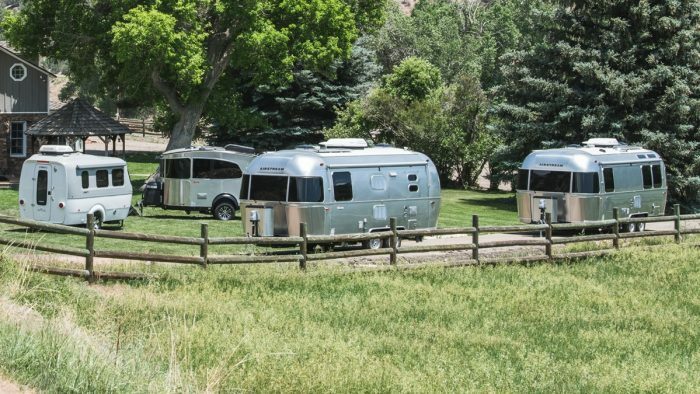 In fact, in response to a growing number of people who want all the comforts of home without towing a large trailer, two of our newest additions to the travel trailer family are smaller and nimbler than ever: the Basecamp (a revival of the original) and the Nest. 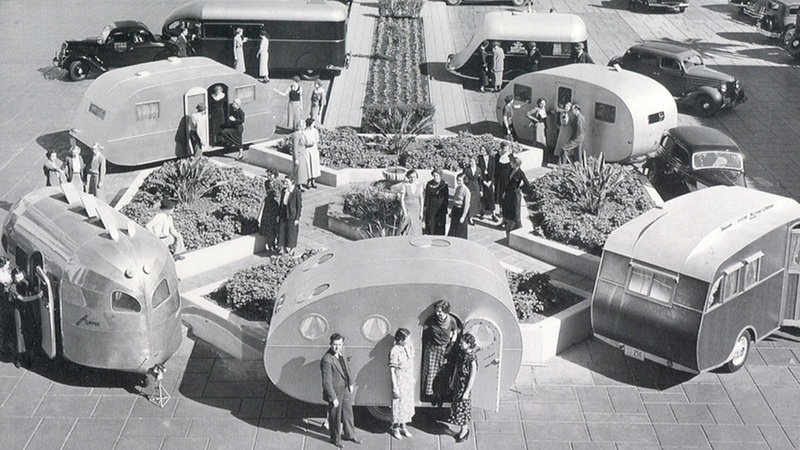 Today, we can control everything with our smart phones and devices. 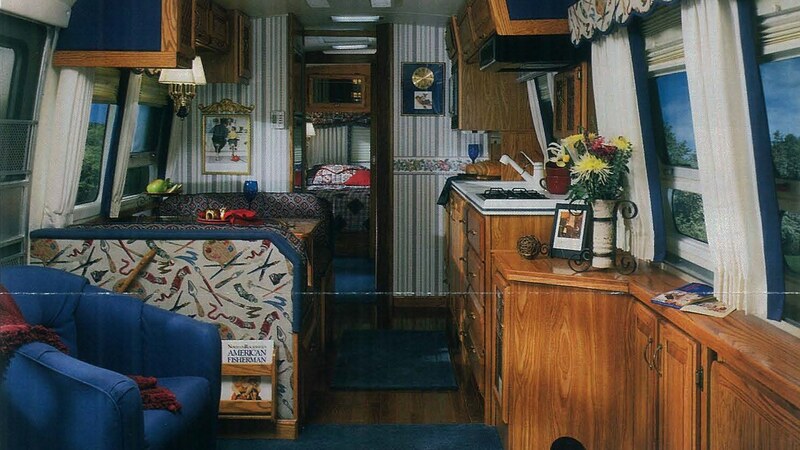 And we expect our RV experience to be no different. 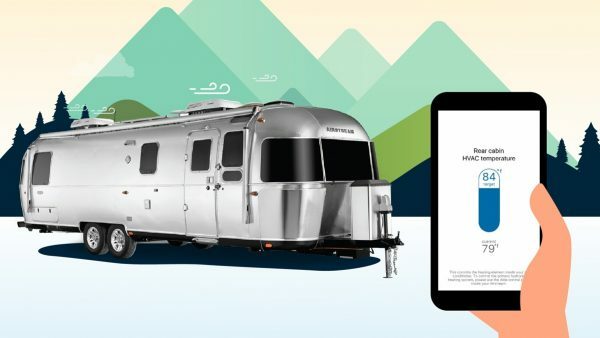 In 2018, Airstream made that expectation a reality with Smart Control Technology. 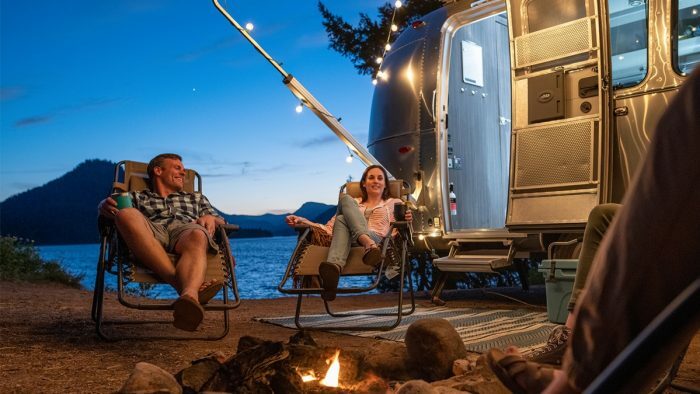 2019 Classic Travel Trailer models come with the technology, which pairs with an app to let you monitor and adjust many of the features inside and outside the trailer, including the lights, awning, tanks, battery, and more. 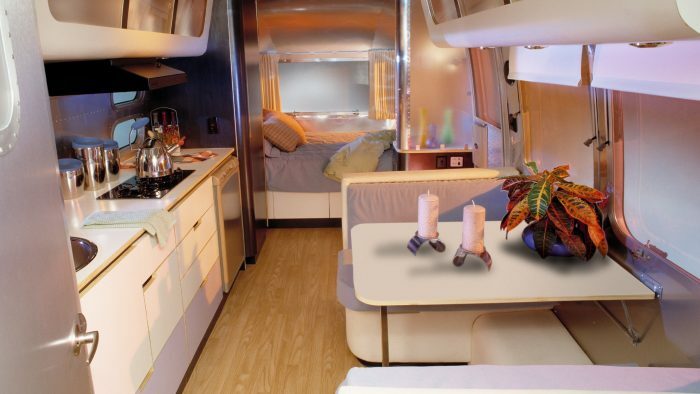 Read more about Smart Control here. In 2018, we broke ground on our first new plant in more than 50 years. 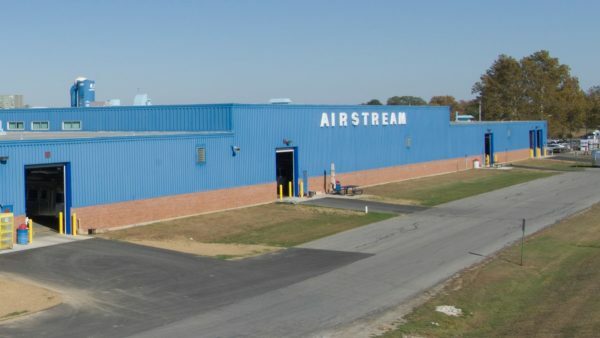 Our new 750,000-square-foot headquarters will stay right here in Jackson Center, Ohio. 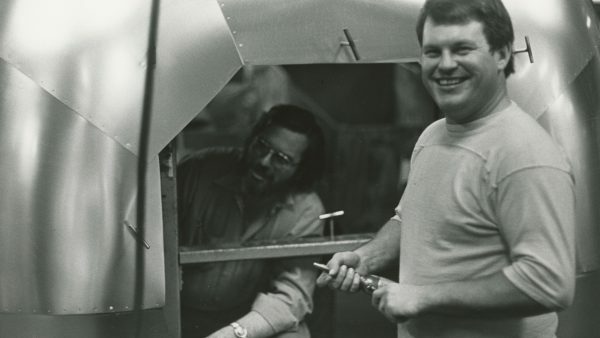 The new facilities will give us more space, more tools, and more storage, prioritizing the quality and craftsmanship we’re known for. Plus, it’ll create jobs and boost the economy in a community we know and love. 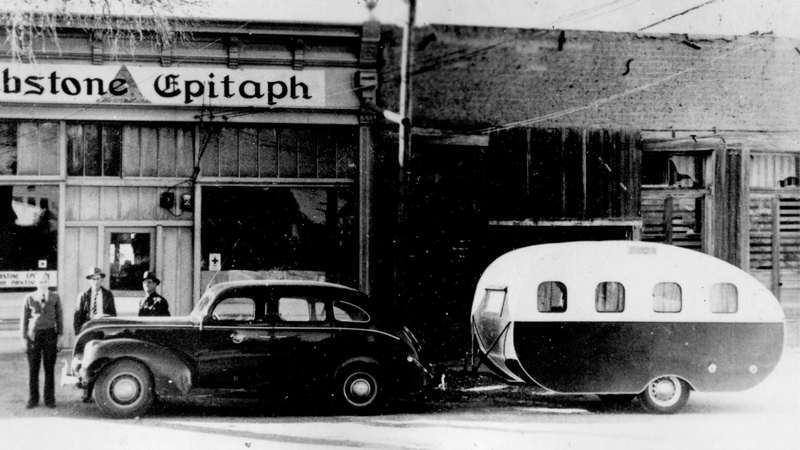 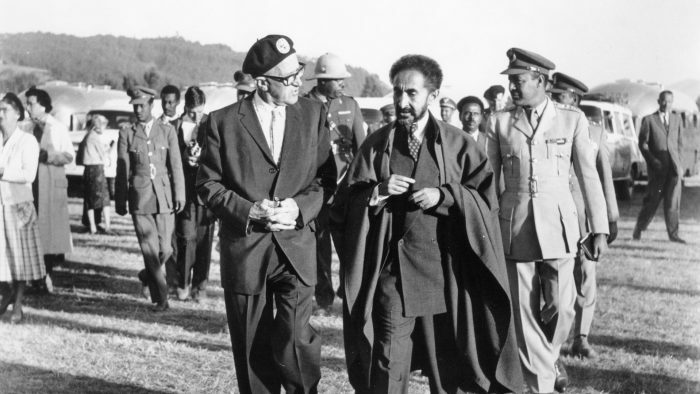 Read more about the new headquarters here.